Soon after his mother died in 2009, Gilbert Leyba said he started drinking and experimenting with drugs. He then dropped out of high school, watching his life spiral into turmoil. But then, Leyba learned about YouthWorks — a local nonprofit dedicated to helping teens and young adults find a path to self-sufficiency. YouthWorks staff and students pause for a photo—(left to right) Chef Carmen Rodriguez, Gilbert Leyba, Kalina Harvey, Sous Chef Jackie Gibbs, Executive Director Melynn Schuyler, and Manager of Special Projects Penny Rodriguez. 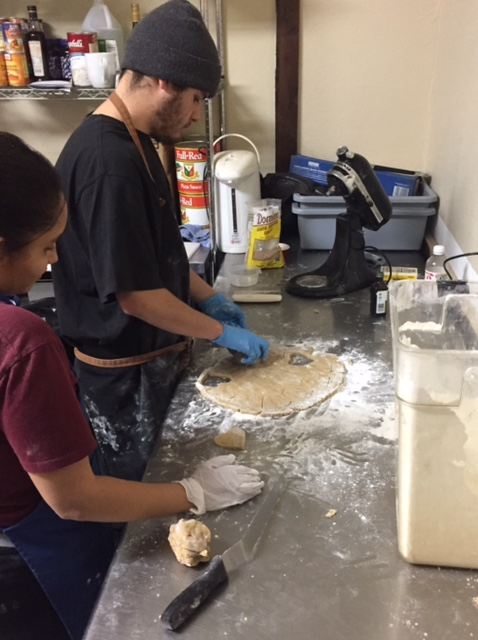 Santa Fe Reporter’s Zibby Wilder visited the YouthWorks kitchen this week to check out the dramatic growth of its culinary arts program. 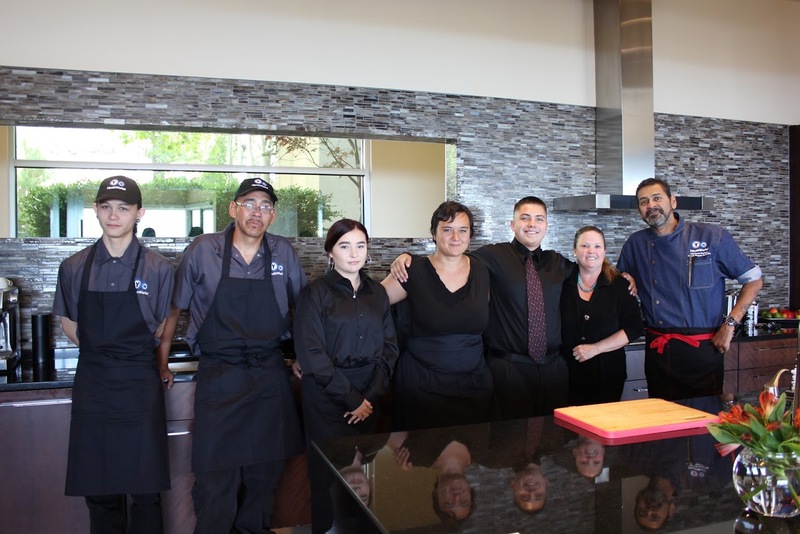 Chef Carmen Rodriguez, former New Mexico Chef of the Year, and his wife Penny Rodriguez first met the YouthWorks culinary team when their catering company needed extra staff for a big event, and a friend suggested they contact YouthWorks. 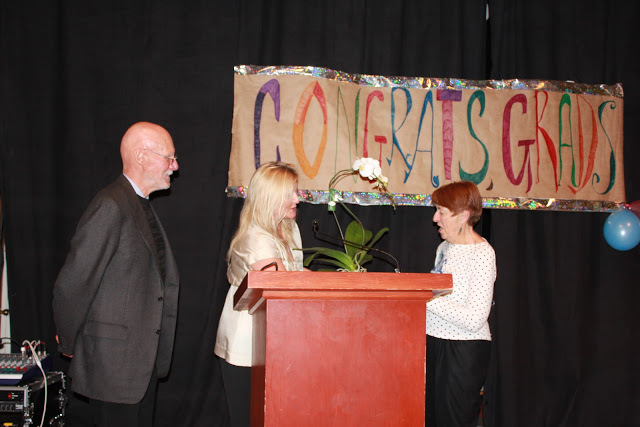 Chef Carmen and Penny were impressed by the students, and following extensive discussion with Executive Director Melynn Schuyler, Carmen became the “godfather” of YouthWorks’ culinary program and Penny took on the role of special projects manager. 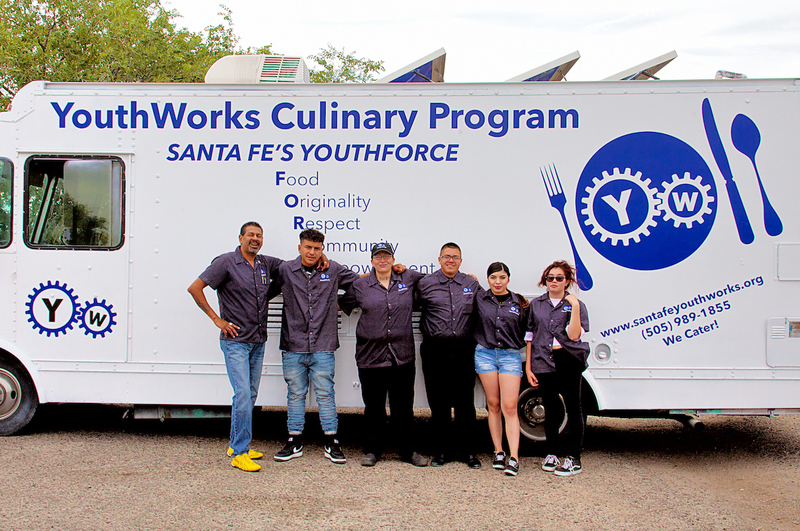 To read the full story of how the YouthWorks culinary arts program grew into one of Santa Fe’s “go-to” catering companies, click here. 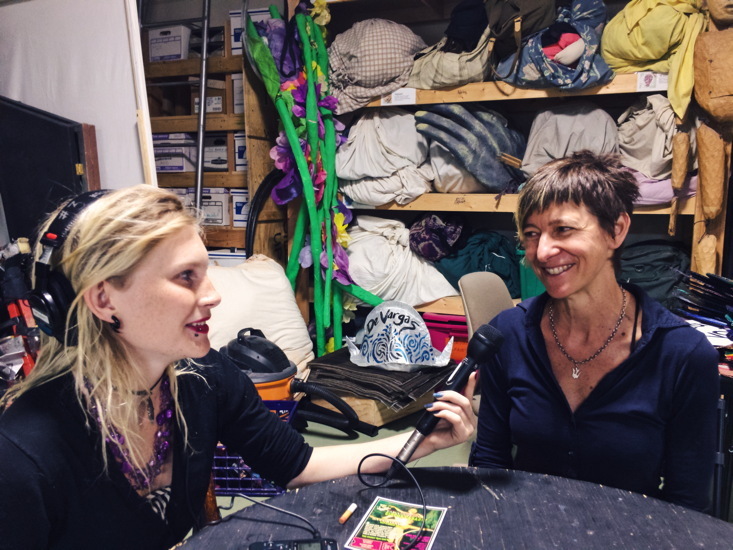 KSFR, Santa Fe’s public radio station, featured YouthWorks in a two-part interview that aired on Monday and Tuesday, February 4 and 5. In Part 1, MK interviewed Joe, who four years ago was living in Albuquerque, feeling low, and having a hard time in school. 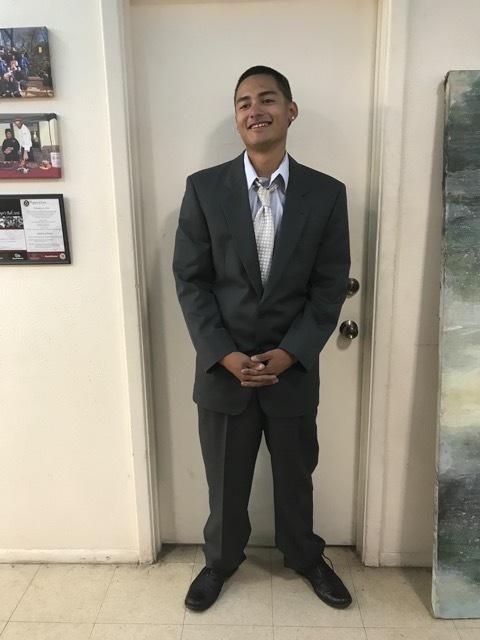 After his cousin mentioned YouthWorks, Joe decided to take a chance and moved to Santa Fe “with nothing” but a strong desire for his life to be different. 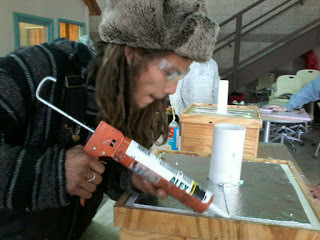 At YouthWorks, Joe found what he needed. 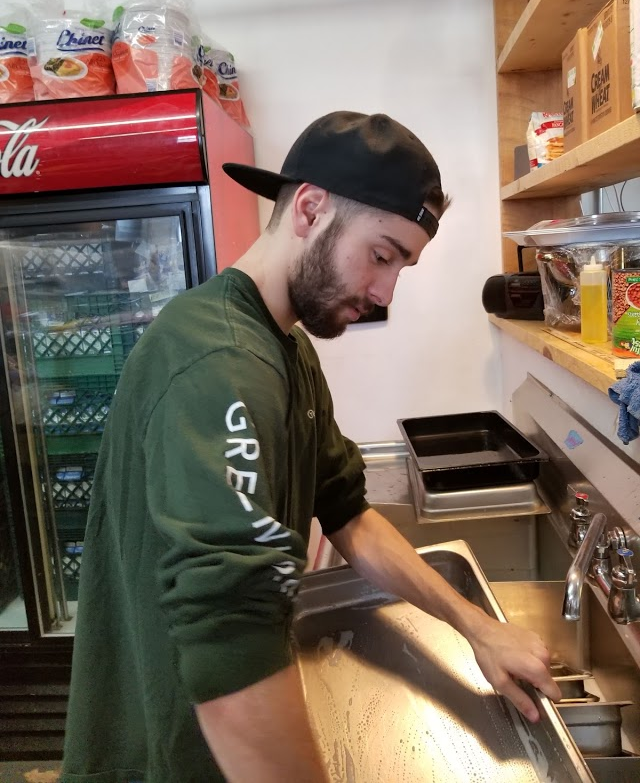 Our small group + hands-on learning opportunities, “no youth left behind” commitment, community supports, and caring family style gave Joe the foundation he needed to build the life he wanted. If you missed the segment, hear Joe’s story and more here. Click here for Part Two to hear about the opportunities for youth to prepare for jobs in everything from construction/weatherization and fire prevention to culinary arts and health care. The YouthWorks Verde Project was recognized nationally by the Corps Network, an organization that advances programs to transform young people’s lives and communities through career development, conservation, and civic engagement. This prestigious award is given annually to select organizations for projects that have undertaken especially influential or innovative endeavors. Projects of the Year are noteworthy for their ability to provide both a positive experience for Corpsmembers and meaningful improvements to the community. Read about the Corps Network award here. Watch a three-minute video and read all about the Verde Community Project here. YouthWorks made the pages of the latest issue of New Mexico Magazine! To see all the coverage, click here. From left, Youthworks participant, Youthworks Executive Director Melynn Schuyler, DNCU President CEO Chuck Valenti and DNCU Web Marketing Specialist Alexandra Pratt. Courtesy photo. 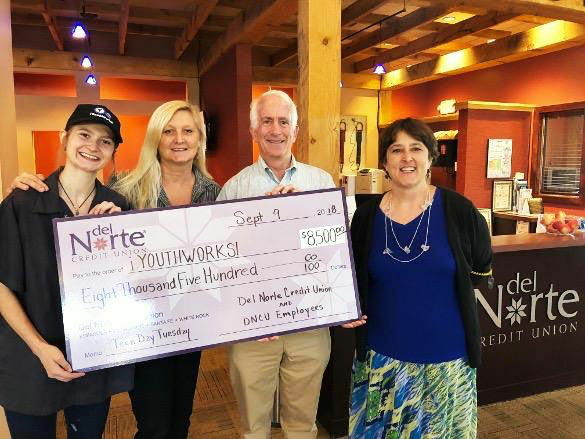 Del Norte Credit Union employees presented YouthWorks with a check for $8,500 to support the organization’s drive to qualify for $15,000 in matching funds from a local Santa Fe couple. 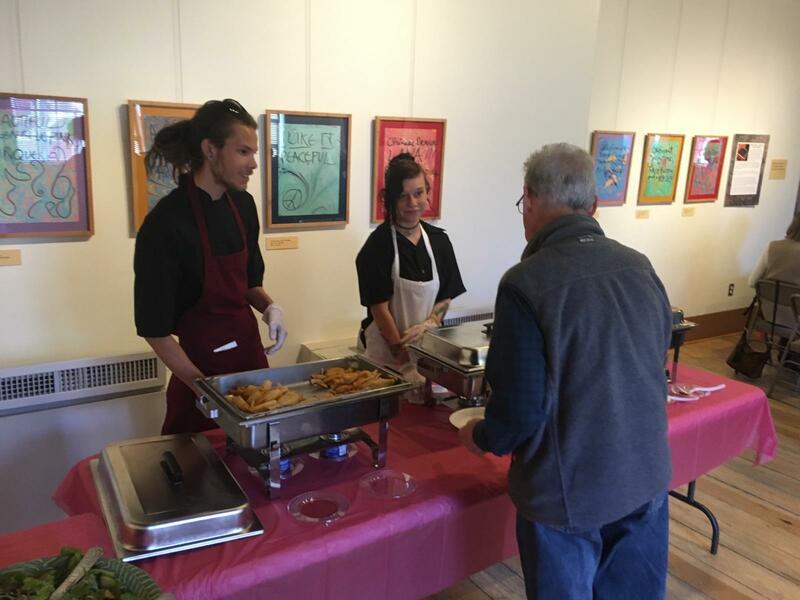 YouthWorks was hired to cater a feast for more than 300 Democrats on Saturday, August 25, at the Mayor’s Barbecue, a get-together at the Del Norte Boys and Girls Club of Santa Fe on Valentine Way. The YouthWorks Catering crew poses for a photo with Michelle Lujan Grisham, Democratic candidate for governor of New Mexico. Michelle Lujan Grisham, Democratic candidate for governor, was in attendance along with Santa Fe Mayor Alan Webber and other special guests. A former gang member, Carmen Rodriguez found his calling in restaurants. Now he’s helping other at-risk youth find theirs. In their latest edition, NationSwell features the story of Chef Carmen Rodriguez and YouthWorks Catering. 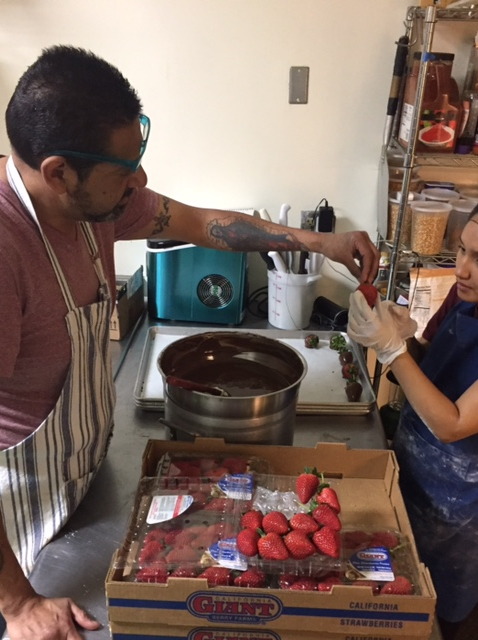 Click here to read how Chef Carmen and his wife Penny have joined with Melynn Schuyler at YouthWorks to serve up a future for at-risk youth. NationSwell is a leading social impact media company dedicated to powering the solutions and innovations that will move our country forward. The YouthWorks crew got high praise for their work doing energy retrofits on 220 apartment units at La Ventana in Albuquerque. I want to compliment you, your supervisors, and the youth! Today’s staff and their ability to get things done was above and beyond my expectations! Everyone was eager to get the job done in a timely manner. More importantly, the quality of work was flawless!!! The retrofitting includes wrapping water heaters and insulating water lines, replacing high-flush toilets with low-flush units, replacing manual thermostats with NEST smart thermostats, installing low-flow showerheads and faucet taps, and changing out lightbulbs with LEDs. Rio Grande School has selected YouthWorks to cater family-style hot lunches for their students for the 2018-2019 school year. 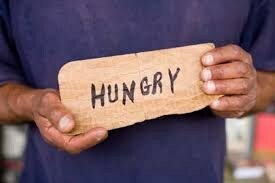 Families will sign up for meal service in advance online, and YouthWorks Catering will deliver and serve the lunches. Prepared under the direction of Chef Carmen Rodriguez, the menu will change weekly, featuring such dishes as Hawaiian Pizza, Chicken Stir Fry, Lasagna Bolognese, and Beef Chimichanga. 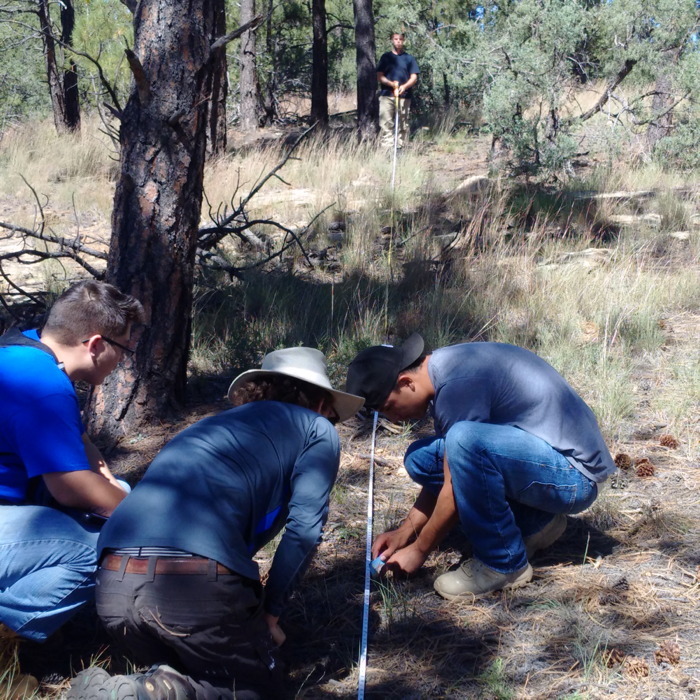 Now that the monsoon rains make it safe to carry out wildfire mitigation work, the YouthWorks crew is heading once again to the woods. Training launches in September that will lead to national certification in S130/190 Basic Wildland Firefighting Red Card Training. The Verde Project was one of eight community partners selected to participate in work funded by a $350,000 grant from the Collaborative Forest Restoration Program, which is administered by the USDA Forest Service. The funding will support programming at YouthWorks for forest wildfire mitigation, youth education, and on-the-job training. 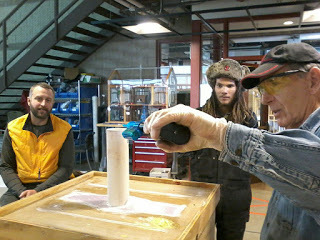 YouthWorks is expanding its partnership with the International Center for Appropriate & Sustainable Technology (ICAST). 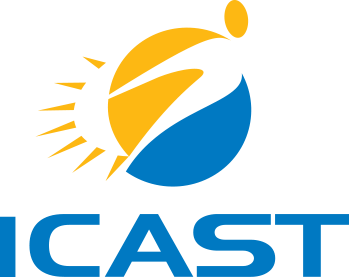 ICAST is working in conjunction with the Energy Smart Academy at Santa Fe Community College to offer training in the leading-edge field of energy efficiency. 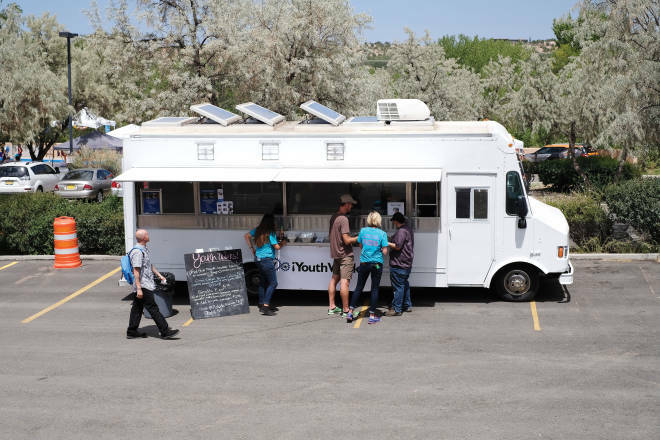 The YouthWorks food truck will be at the Coe Center at 1590 B Pacheco Street on Tuesday, August 14 from 5 – 7 pm. 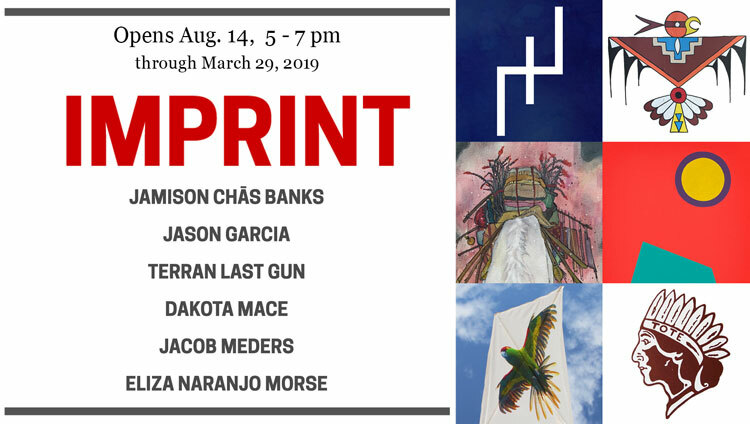 Come for the public opening of the IMPRINT exhibit, meet the artists, and stop by for tasty eats prepared by YouthWorks Catering under the direction of Chef Carmen Rodriguez. The YouthWorks food truck will be at the La Familia Health and Wellness Fiesta at 1035 Alto Street on Saturday, August 11, from 10 am to 2 pm. We’ll be serving delicious healthful fare prepared by YouthWorks Catering under the direction of Chef Carmen Rodriguez. La Familia’s family-friendly community event will offer free health and dental screenings plus cooking demos, massage, Zumba, face-painting, entertainment, and more! YouthWorks Executive Director Melynn Schuyler cites efforts by the Santa Fe Housing Action Coalition in a My View opinion piece in the August 4 Santa Fe New Mexican. As part of the coalition, YouthWorks has joined with a wide variety of stakeholders to strategize solutions, advocacy, and action to address Santa Fe’s housing crisis. Click here to read about the efforts underway and how you can help. The YouthWorks food truck will be at Las Golondrinas (334 Los Pinos Road) Saturday and Sunday, August 4 and 5. Stop by and sample the tasty fare prepared by YouthWorks Catering under the direction of Chef Carmen Rodriguez. Join us for breakfast or lunch at Spanish Market on the Plaza on Saturday and Sunday, July 28 and July 29. Our booth will be open all day, starting with breakfast at 8:30 am. Look for the YouthWorks sign on Washington Avenue right in front of Tees N Skis. All proceeds benefit job training for young people at YouthWorks. YouthWorks earned second place honors in the category of Best Youth Program in the Reporter‘s Best of Santa Fe annual poll. This year Reporter readers cast more than 150,000 individual votes in 115 categories. Votes were collected online during the month of May, featuring a ballot with six nominees in each category who had been named in online voting in February. Join us to celebrate at the Best of Santa Fe block party at the Railyard on Friday, July 27, from 5 to 9 pm. When the City called, YouthWorks responded. Following Monday night’s flooding, crews of young people from YouthWorks joined fire department staff and volunteers from Keep Santa Fe Beautiful to fill and hand out more than 6,000 sandbags to residents. For further details on the City’s response to the storm, follow @MayorWebber or check the City’s incident/event updates. 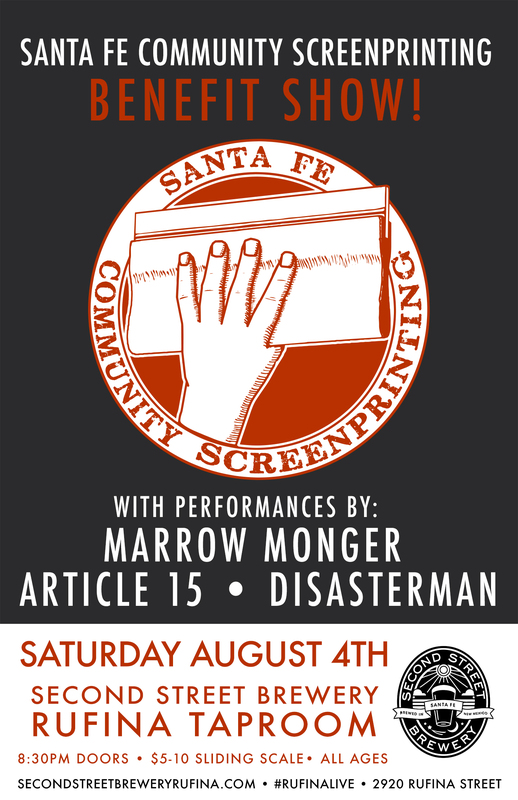 Join us at 8:30 pm on August 4 at the Second Street Brewery for a show to benefit Santa Fe Community Screenprinting. YouthWorks has “adopted” the nonprofit screenprinting studio previously located at Warehouse 21 to expand outreach and opportunities for both youth and emerging and established artists in the area. Can’t make the date, but want to contribute to the project? Click here. Members of the American Institute of Architects (AIA) feasted on hors d’oeuvres prepared by YouthWorks Catering for the AIA summer party on July 13 at the Nedra Matteucci Galleries. Need catering for your own event? For an estimate, complete the form here, and Penny Rodriguez will be in touch. For more information about menus, pricing, and scheduling, email Penny at culinary@santafeyouthworks.org or call her at 505-989-1855. 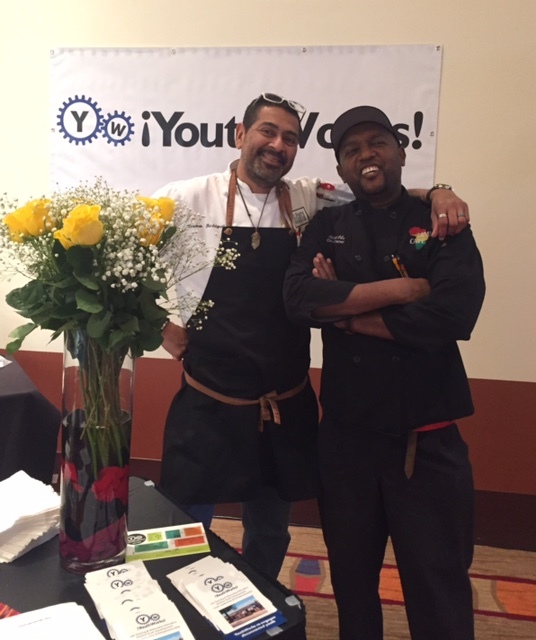 YouthWorks Catering was tapped to cater the half-day session at the Community Convention Center today during which Mayor Alan Webber’s transition working groups reported their findings. 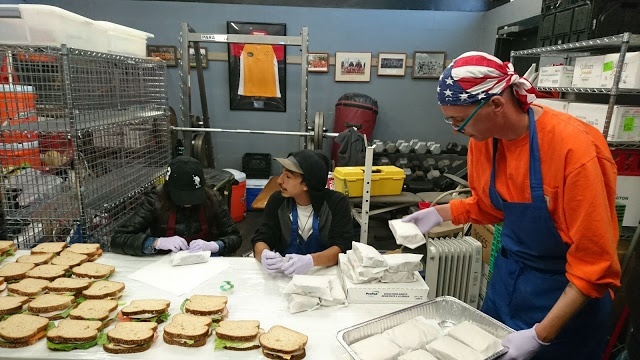 Through the late morning and early afternoon, participants feasted on barbecued pork buns, roasted mushroom sandwiches, and chocolate chip cookies prepared by the YouthWorks crew. Following the event, Mayor Webber joined the YouthWorks team—along with Chef Carmen Rodriguez (right) and Youthworks Executive Director Melynn Schuyler (left)—for a photo to commemorate the event. Long-time YouthWorks supporter Representative Ben Ray Luján visits YouthWorks at the first national gathering of the Nation of Makers Conference (NOMCON). 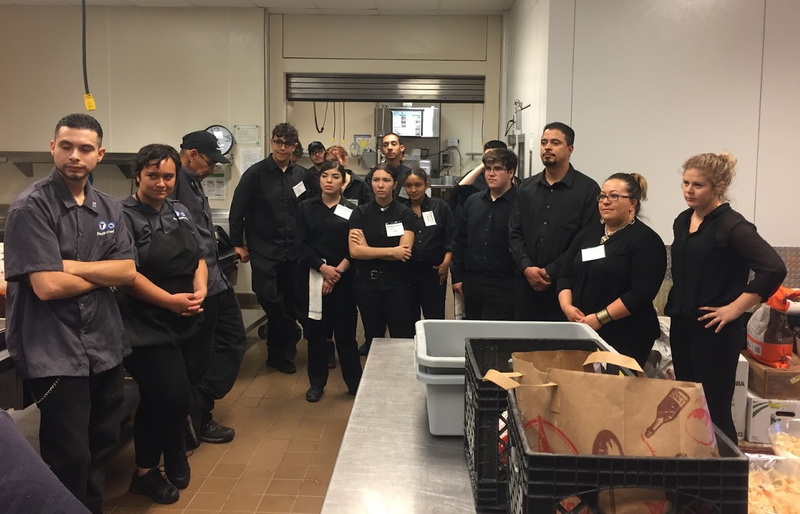 YouthWorks Catering, led by Chef Carmen and Penny Rodriguez, fed nearly 400 participants breakfast, lunch, and dinner over the two-day event at the Santa Fe Convention Center. It took “all hands on deck” to manage the catering for two days of meals for such a large group. Here the catering crew listens to last-minute instructions from Chef Carmen. NOMCON is a focal point for a movement empowered by increasingly affordable digital tools like 3-D printers, laser cutters and computer-controlled cutting machines that make cheap prototyping and manufacturing accessible. 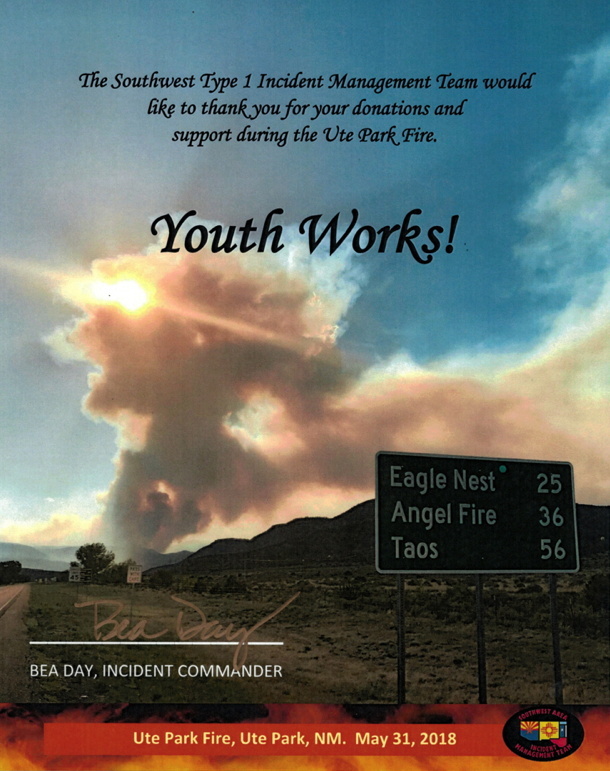 YouthWorks volunteered to help feed the crews working the Ute Park fire in Northern New Mexico. 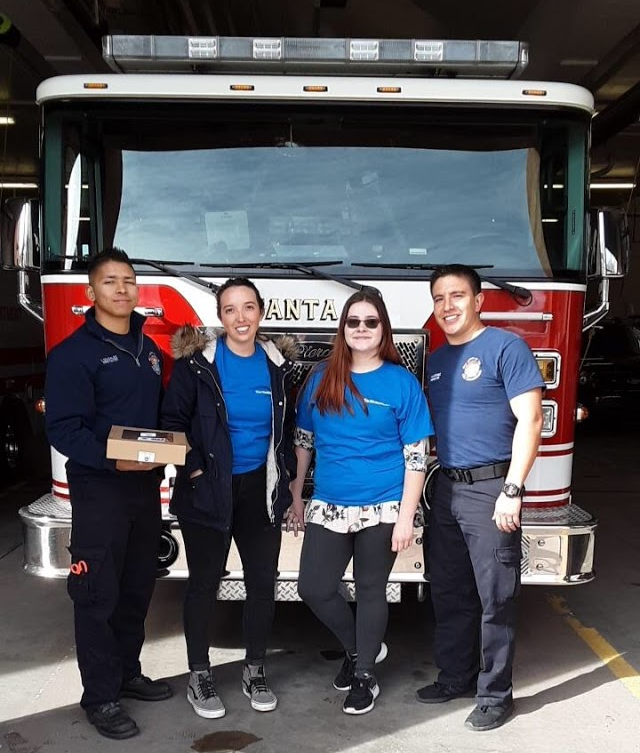 The YouthWorks catering team made and delivered sixty-six dozen—that’s nearly eight hundred—chocolate-chip cookies as their contribution to help feed the crew members as well as local residents who had to be evacuated. 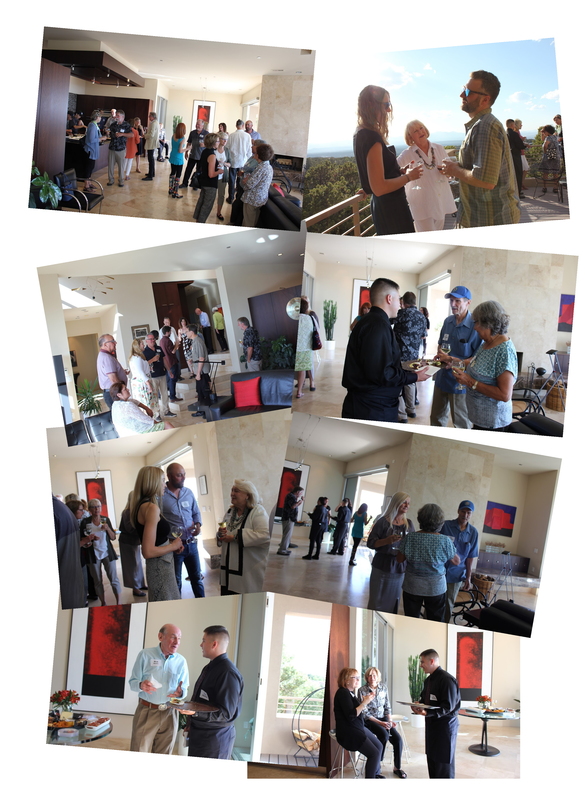 YouthWorks celebrated its supporters with an evening of wine, hors d’oeuvres, and conversation at the High Summit home of YouthWorks Board Chair Fred Seibel and his wife Molly. Guests had the opportunity to meet and chat with YouthWorks Executive Director Melynn Schuyler, members of the YouthWorks board, and the young people from YouthWorks Catering, who planned and prepared all of the hors d’oeuvres for the event. The menu showcased the capabilities of the group, led by Chef Carmen and Penny Rodriguez. The catering service is now available for hire for both public and private events. For information about menus, pricing, and scheduling, email Penny Rodriguez at culinary@santafeyouthworks.org or call her at 505-989-1855. YouthWorks Catering prepared a tapas feast for those honoring this year’s winner of the Masters Award at the Museum of Spanish Colonial Art. Carlos José Otero was given the Masters Award for Lifetime Achievement for his contribution to Spanish New Mexican artistic traditions and culture. The award is given each year to an artist who raises awareness of the art form, is included in private and museum collections, and has been tapped to receive awards at Spanish Market and other fairs and exhibitions. 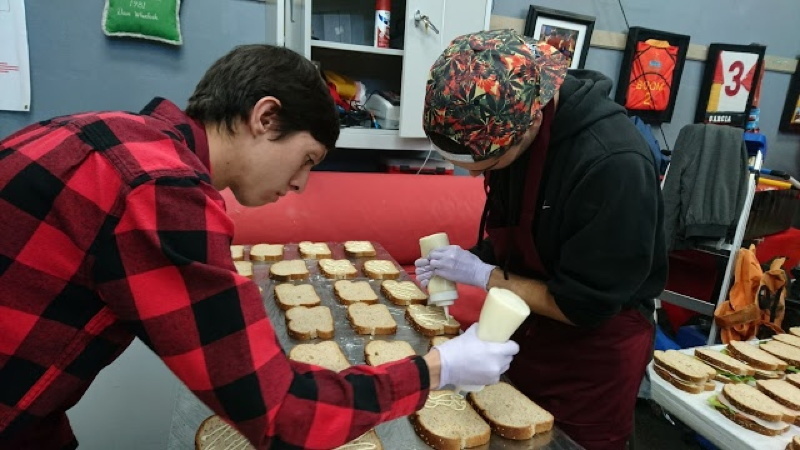 Under the direction of Chef Carmen Rodriguez, the YouthWorks culinary team put their skills to work at the Intermountain West Funder Network dinner at Meow Wolf on May 3. The Funder Network brings together funders who can work alongside each other to strengthen and expand funding and philanthropic leadership in eight western states, including New Mexico. The menu featured a variety of classic New Mexican dishes hand-made by the YouthWorks culinary team. 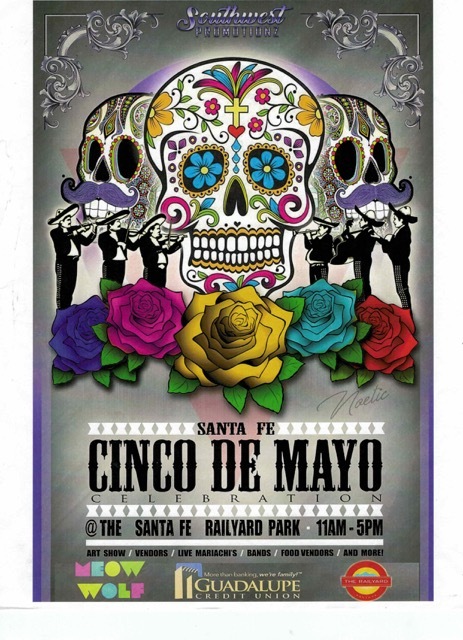 Stop by the YouthWorks food booth at the Railyard between 11 am and 5 pm on Cinco de Mayo (May 5). We’ll be serving tasty hamburgers, cheeseburgers, veggie burgers, and hot dogs—topped off with Mexican chocolate chip cookies for dessert. All proceeds will benefit the Youthworks culinary program, which prepares our young people for jobs in the food industry. 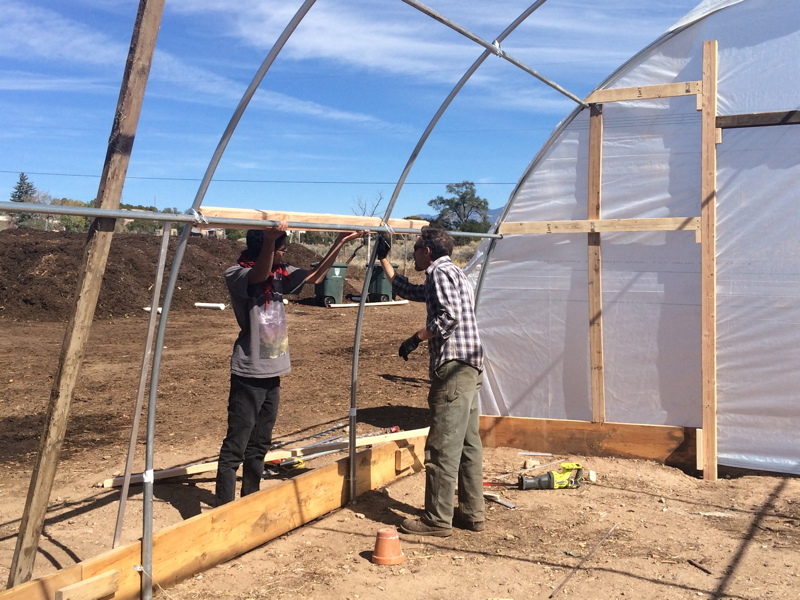 Santa Fe’s Verde Community Project made the national online news. 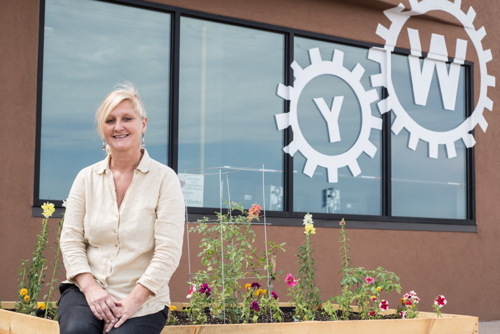 The Daily Yonder quoted YouthWorks staffer Kineret Yardina in coverage of the Verde Community Project as an example of how organizations are tackling the big issues facing small communities. For more of the coverage, click here. 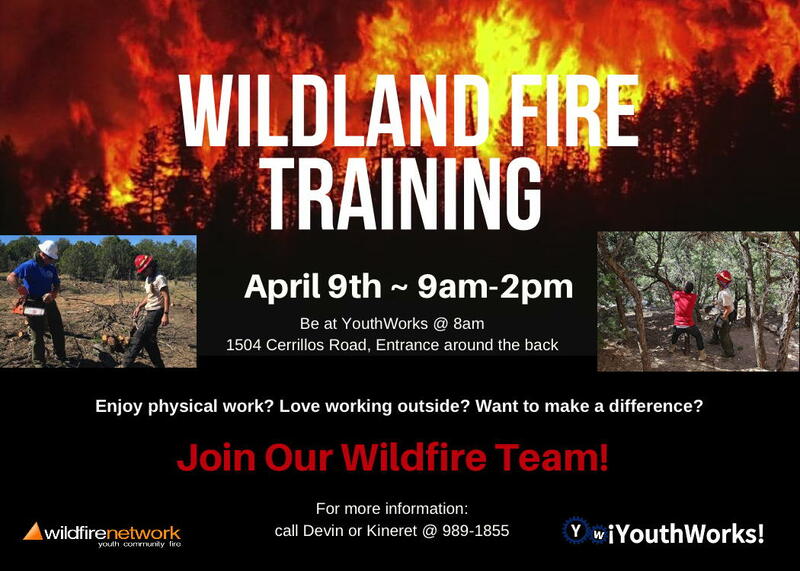 Hank Blackwell, former Santa Fe County fire marshal, will lead a training session on April 9, from 9 am to 2 pm, for young people at YouthWorks interested in joining the wildland firefighting crew. For more information, or to sign up, call Devin Baldwin or Kineret Yardena at (505) 989-1855. 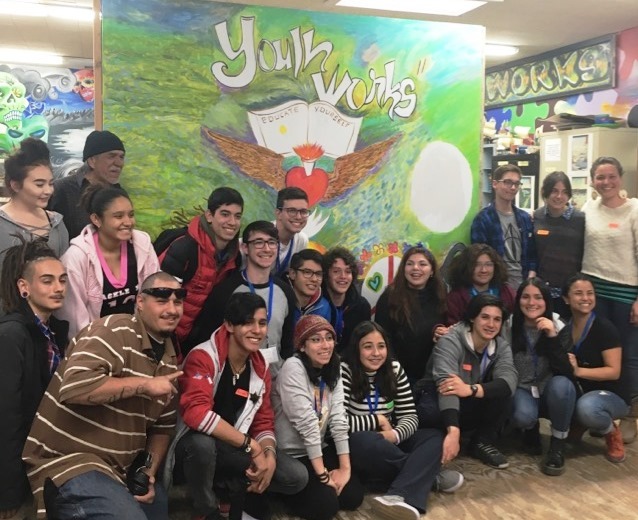 At a session titled “Popping Your Bubble with Reality,” fifteen teens from Chile and Argentina, with the group Global Ties, visited YouthWorks on March 27 to hear students report on the school-to-prison pipeline and ways to break that link. YouthWorks students Amanda and Matt have spent the last two years working on a project focused on this issue, in conjunction with the Museum of International Folk Art (MOIFA). 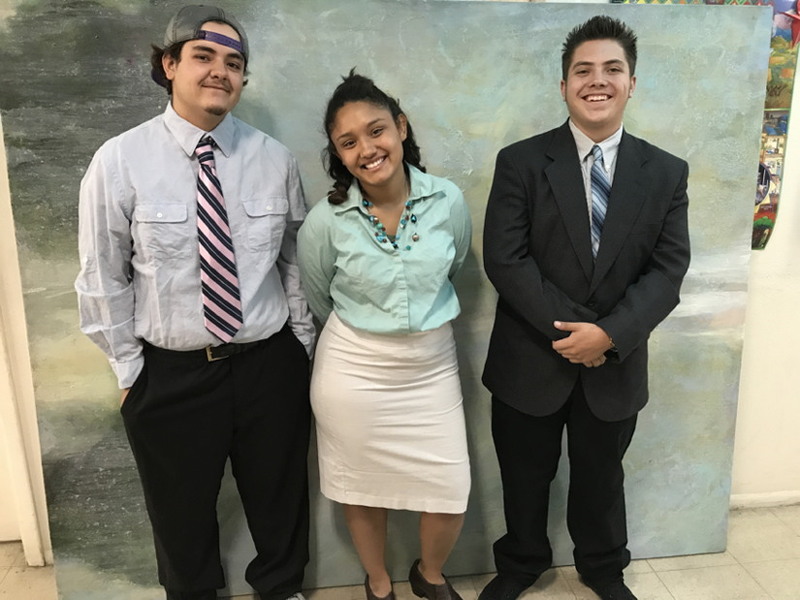 Their project has focused on identifying problems in U.S. public schools, raising awareness of the problems, and identifying ways schools can do a better job for our youth. Too often, Matt and Amanda have learned, kids get in trouble at school or get caught in the criminal justice system not because they’re bad—but because they just get lost or they don’t have many good options or they make some bad choices and then they get stuck. I didn’t get a good education at school. When the classes are full, with lots of kids, you don’t get the help you need. Some kids face bullying at school or racial discrimination and don’t want to attend. Some kids can’t afford textbooks or have to work or help take care of younger siblings. Others play hooky, break school rules, or hang around with peers who get them into trouble, and then end up in the criminal justice system. Bullying is a problem. And it’s a big issue in school that kids aren’t given a chance and are just thrown to the side. You are not defined by your past. You always can make better choices. Learn from your past, and it will make you stronger. As part of the MOIFA project, earlier in the month, the YouthWorks community had invited guest artist Sam Leyba to work with the youth to paint a mural depicting the issue. After learning some drawing techniques, the young people drew images about hopeful messages for youth in the future, which Sam put together in preparation for painting the mural on a YouthWorks wall. On March 27, after the discussion led by Amanda and Matt, YouthWorks students and youth from Chile and Argentina all helped paint the first draft of the mural. 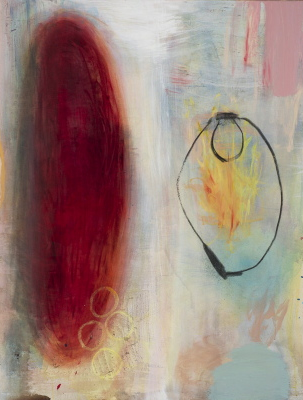 The unveiling of the final artwork will take place on Wednesday, April 18, from 2-4 pm. 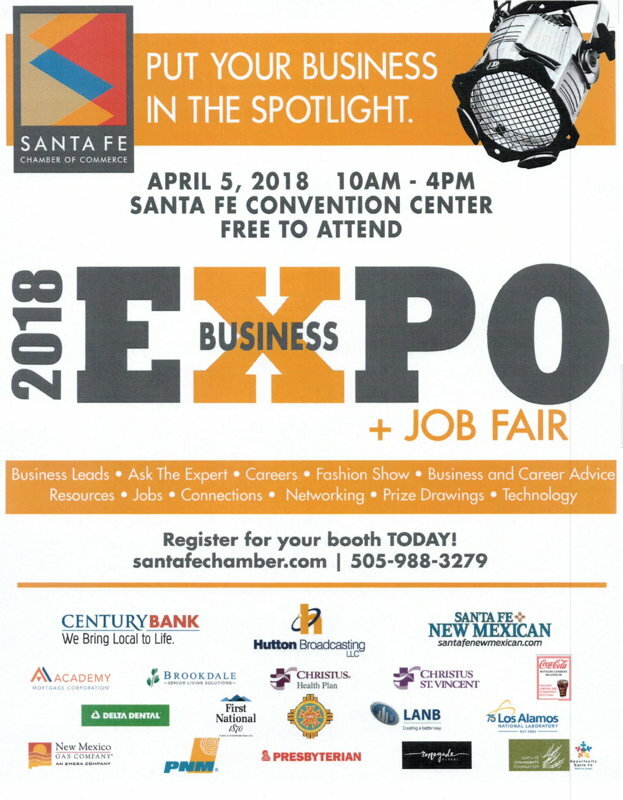 YouthWorks will be exhibiting at the 2018 Business Expo on April 5 at the Santa Fe Convention Center. The exhibit will showcase the programs available for young people at YouthWorks, particularly the culinary arts program led by Chef Carmen Rodriguez. During the event, young people from YouthWorks will also be exploring career and job opportunities with the other exhibitors. This year’s annual “Empty Bowl” Dinner at St. Michael’s High School on April 13 will benefit programs for young people at YouthWorks. Please join us for a simple meal of bread and soup, served from a bowl made by hand by a St. Michael’s High School art student. At the end of the evening, take the empty bowl home with you, as a reminder of those that are less fortunate, those who often have an empty bowl. To purchase tickets to this event, visit the St. Michael’s website. 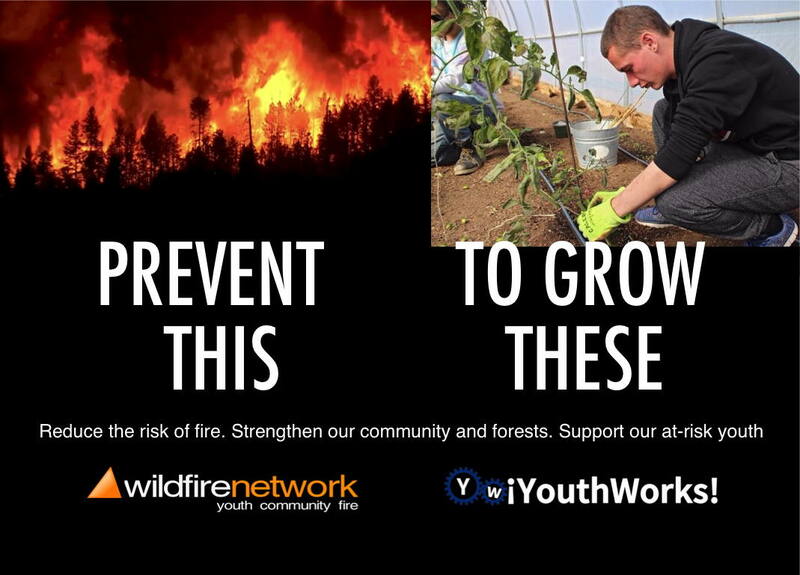 As part of the Verde Community Project, young people from YouthWorks are training with Wildfire Network in various aspects of forestry and fire prevention. 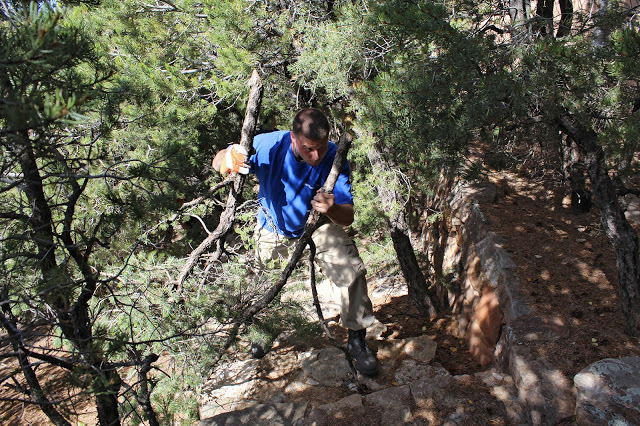 The crew has completed projects for the Santa Fe Institute and for local Santa Fe homeowners to reduce fire danger by clearing property of dead and downed wood. The material they clear is then turned into compost by YouthWorks crews at Reunity Resources and used to grow vegetables for an after-school meal program managed by the Food Depot for disadvantaged elementary school children. Meals for 1400 students per week are prepared by the YouthWorks catering team under the direction of Chef Carmen Rodriguez. 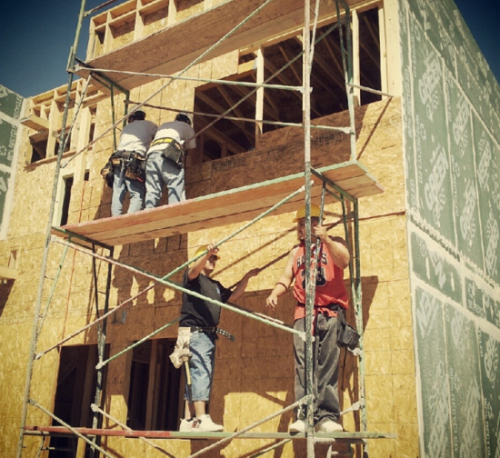 You can support this program by hiring our crew to thin your property in Santa Fe or East Mountain and surrounding areas. For a free home assessment and information about rates, call 505-780-1082 or email verde@wildfirenetwork.org. 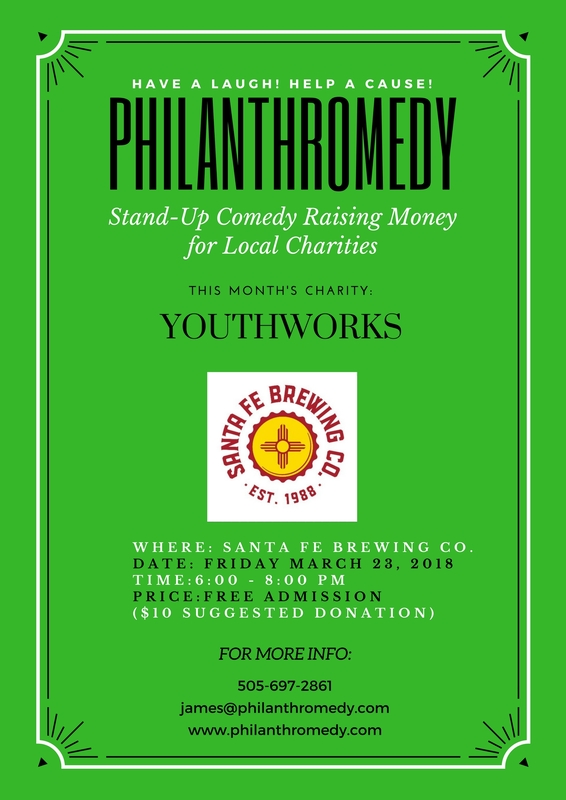 The Bridge at Santa Fe Brewing Company, 37 Fire Place, will host a comedy show to benefit YouthWorks on Friday, March 23, from 6 to 8 pm. Admission is free, but a $10 donation is suggested. See details below. 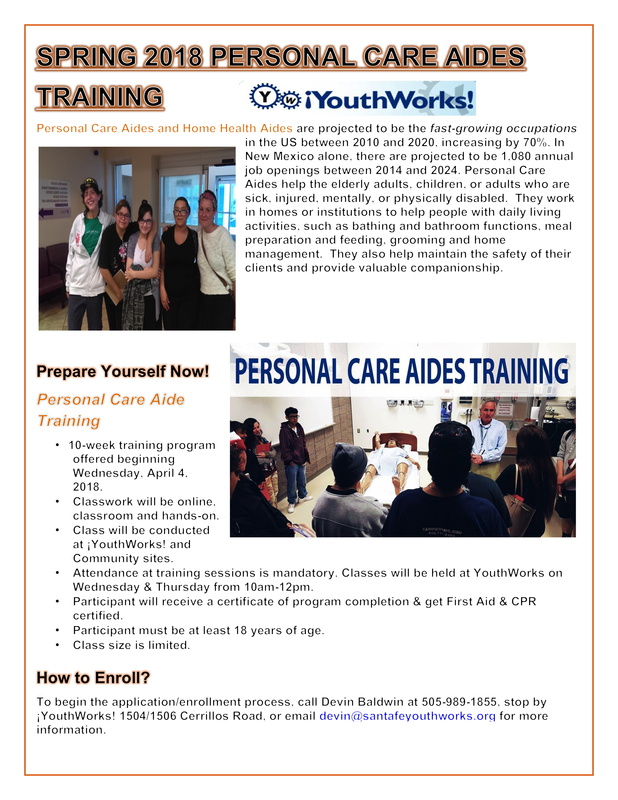 YouthWorks begins a new session of personal care aide training on April 4. Graduates who successfully complete the 10-week training program are prepared for entry-level employment and/or post-secondary education in the healthcare field, one of the fastest-growing occupations in the U.S.
A visit to YouthWorks last summer gave artist Shelley Horton-Trippe the impetus for a new series of paintings. Out in the parking lot, there was this great woman leaning against this gorgeous lowrider, and it blew me away. She was so elegant, beautiful, and confident. My good friend Melynn Schuyler, the director of YouthWorks, introduced me to her, and she was Justice Lovato, the president of the Enchanted Expressions lowrider club in Española. Can you imagine a woman having that position? 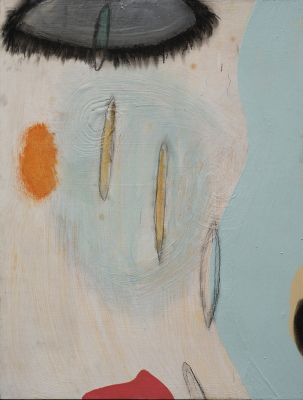 The show High Brow Low Ride is featured at Phil Space, 1410 Second Street, from now through through April 27, 2018. 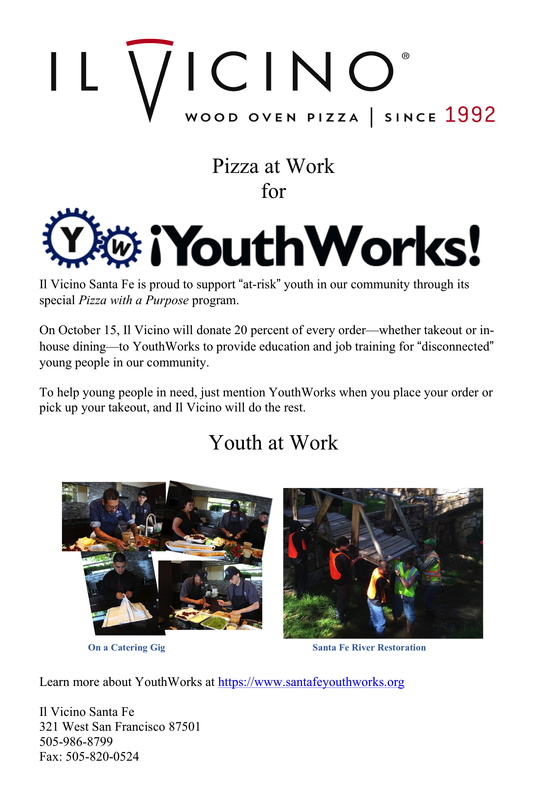 A portion of all sales will benefit programs at YouthWorks. 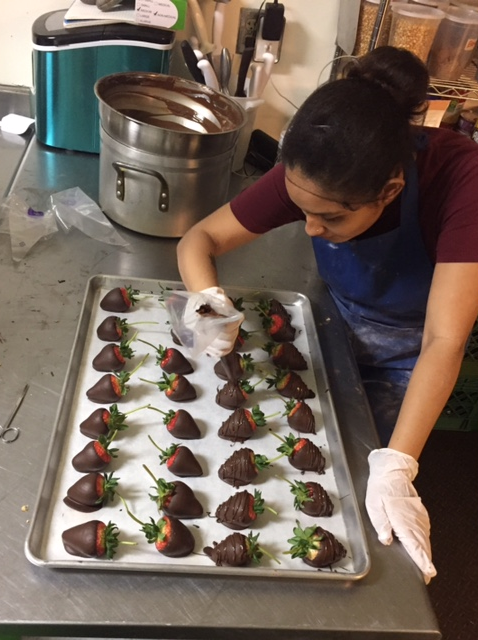 Youthworks culinary students prepare Valentine’s Day sweets under the direction of Chef Carmen Rodriguez, who leads the YouthWorks culinary arts program. 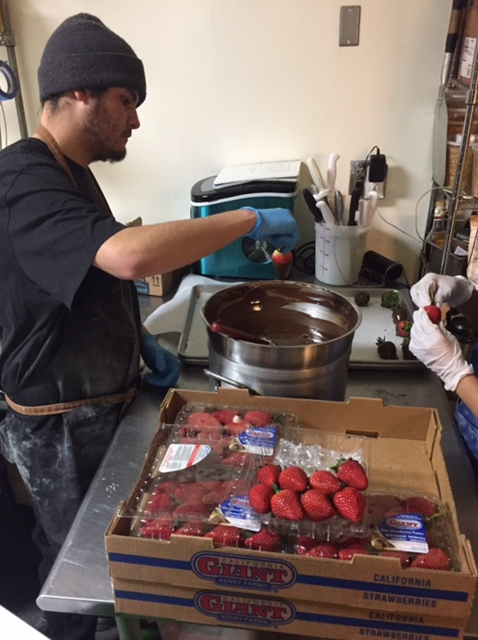 For the Valentine’s Day sweets sale, Amanda and Matt are learning the fine points of creating chocolate-covered strawberries, Mexican wedding cookies, and chocolate truffles. Proceeds from the sales help support culinary arts training for young men and women to prepare them for work in local area restaurants. 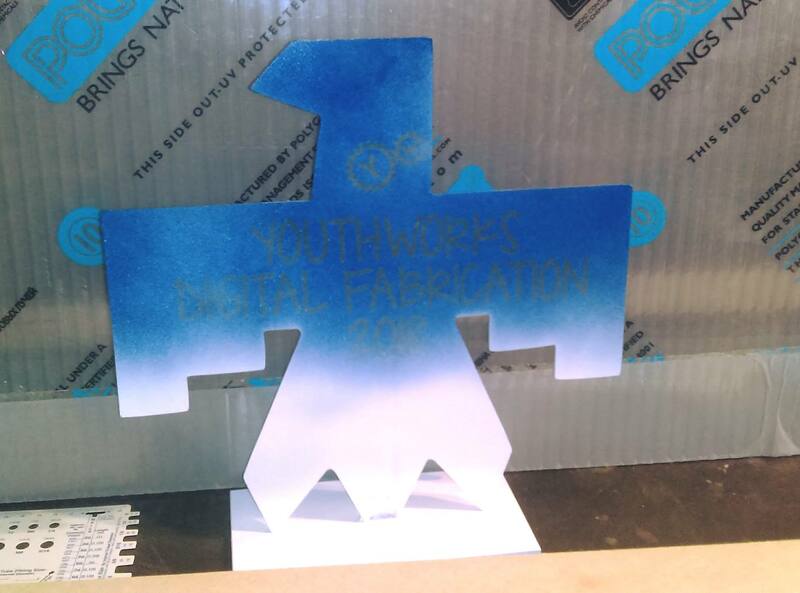 Seven YouthWorks students graduated today from a 10-week digital fabrication course at Make Santa Fe. 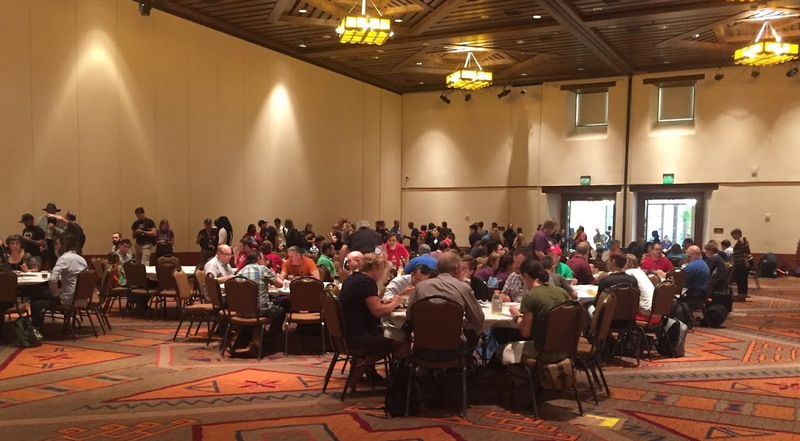 Through this progrm, participants gain a basic understanding of the Maker Movement in classroom discussions, hands-on training, through field trips, and through projects created independently and in teams using MAKE Santa Fe’s tools, network, and staff. This course entails 10 weeks of programming, three days a week for five hours. 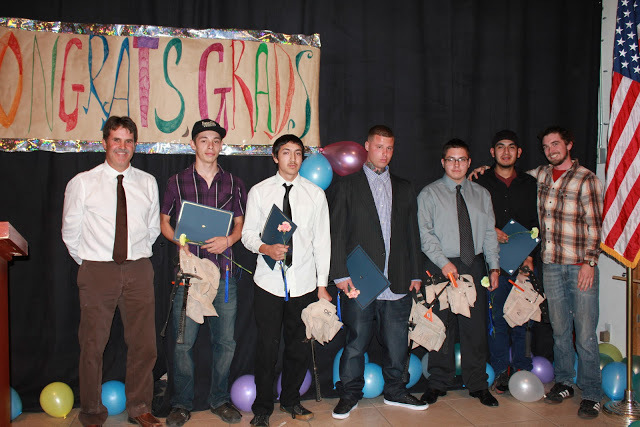 At graduation, students demonstrate through their portfolios and resumes proficient usage of various disciplines that may include metal fabrication, wood fabrication and carpentry, sewing, CAD drafting, 3D modeling, digital additive manufacturing, and digital subtractive manufacturing. Participants in the class also develop skills in project planning and management, creating proposals, sketches, and prototypes, as well as writing about their ideas. YouthWorks staff would like to thank SER Jobs for Progress for securing use of the maker space for the course and for providing students with post-training job and educational placement assistance. Buy your tickets today to Brandi’s 2018 Oscar Party. See the details below. 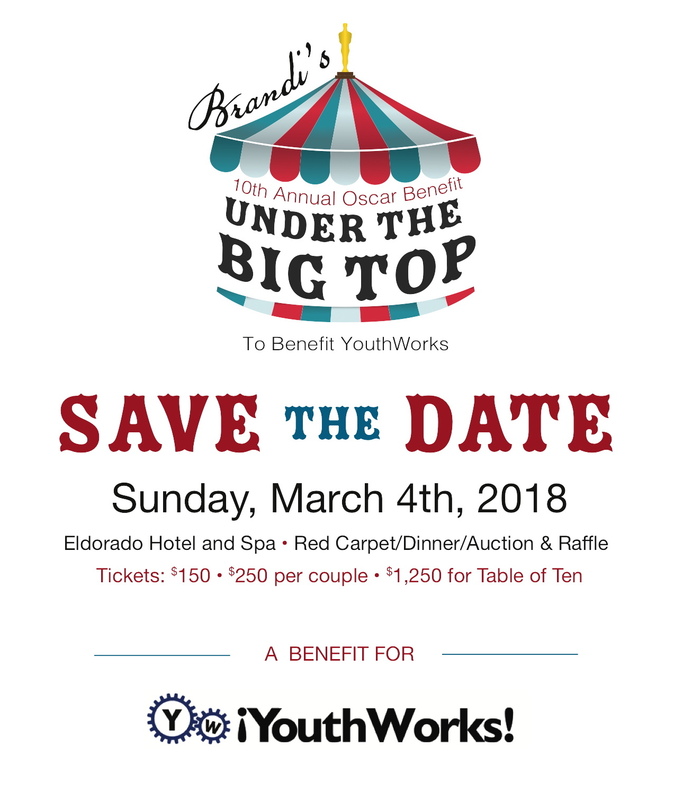 This event at the Eldorado Hotel and Spa on March 4, 2018, is a benefit for YouthWorks featuring the Oscars on a big screen, dinner, and an auction and raffle. Dust off your tux or evening dress and join us to celebrate the Oscars and, at the same time, help support young people who need a helping hand. 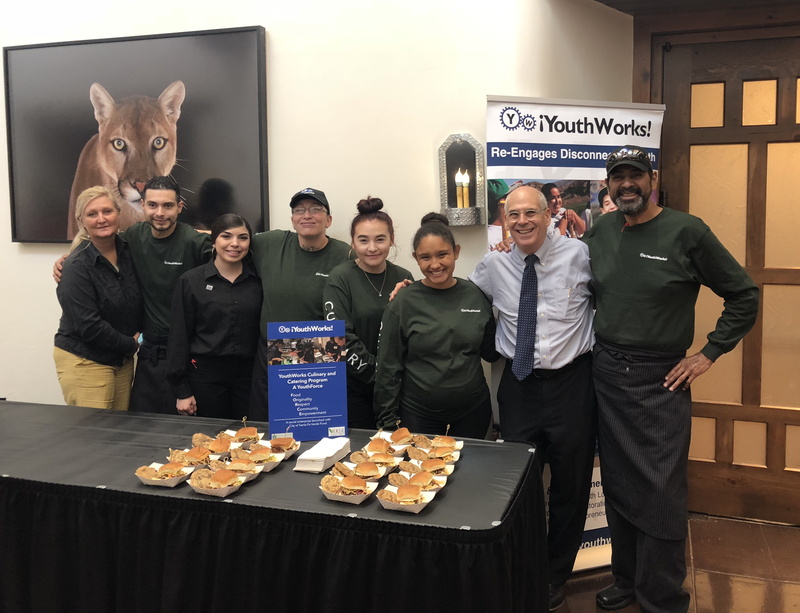 The YouthWorks culinary arts team was one of seventeen local food providers serving hors d’oeuvres at the 2018 Chamber Legislative Reception. 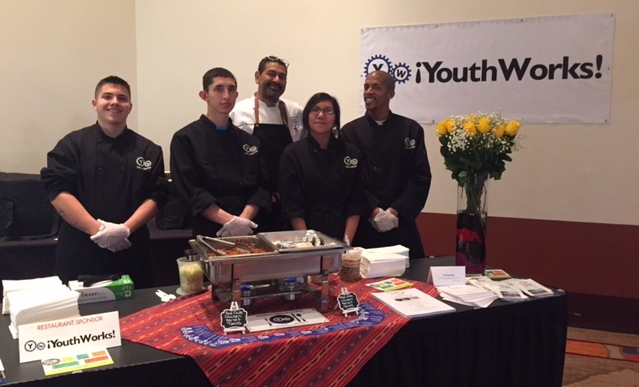 Under the direction of Chef Carmen Rodriguez, the YouthWorks culinary team served Teriyaki Chicken Tacos with Red Chile to hundreds of guests gathered at the Santa Fe Convention Center. Sponsored by the Chamber of Commerce, this January 29 event is the largest legislative networking event of the year. Guests from around New Mexico attend to network, connect, and advocate for New Mexico business. Chef Carmen Rodriguez, manager of the YouthWorks culinary arts program, and Owner-Chef Ahmed Obo, of Jambo’s Café, take a break to compare notes at the Chamber’s Legislative Reception. Chef Carmen Rodriguez leveraged his slot at the Food Depot’s 2018 Souper Bowl to give YouthWorks culinary students a chance to put their skills to work in a very public setting. Ashley and Kevin, shown above with Chef Carmen, spent the day putting the finishing touches on and helping serve Pato con Palomitas, a crowd favorite at the Food Depot’s 24th Souper Bowl. At this annual Food Depot fundraiser, more than two dozen chefs compete for “best soup” honors in multiple categories. Proceeds from the event help support the Food Depot’s mission to eliminate hunger in Northern New Mexico. 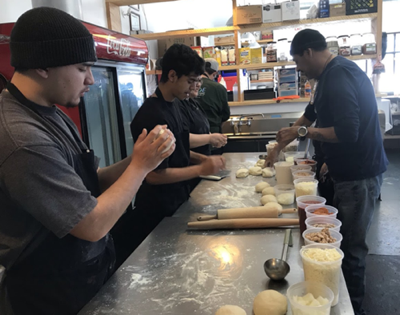 Chef Carmen, the owner/operator of MiSanta Catering along with his wife Penny, is leading the YouthWorks culinary arts program, sharing his expertise in cooking preparation, catering logistics, and front-of-the-house skills. For more information about YouthWorks Catering or to schedule their services for your next event, contact Penny Rodriguez at YouthWorks. 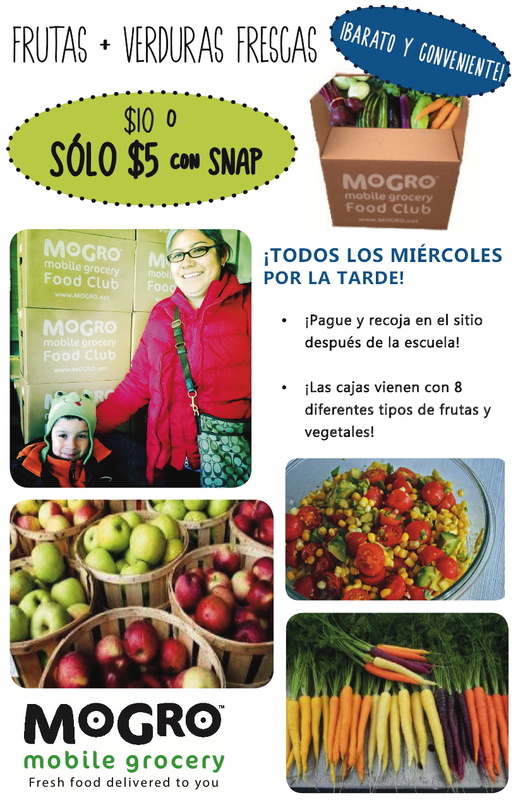 The Verde Community Project has launched MoGro at the sites served by the Verde after-school meal program. 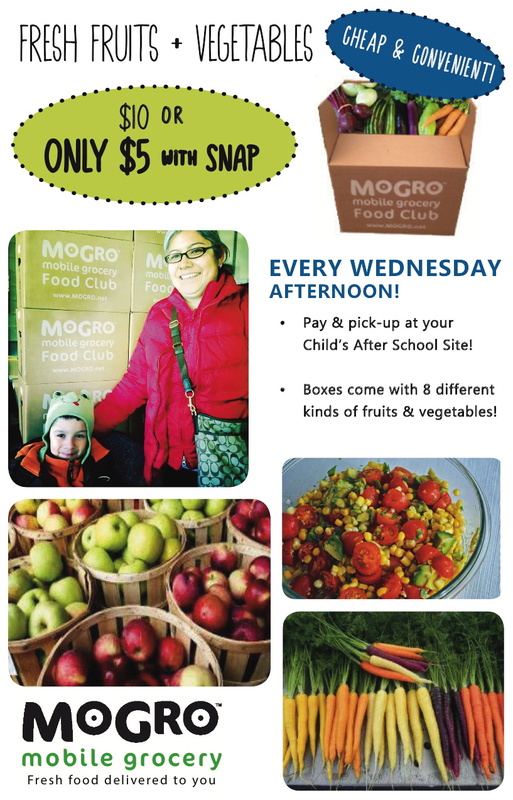 On Wednesdays, parents picking up their children can purchase a box of fresh fruits and vegetables, for healthier meals at home. Each box contains eight different kinds of fruits and vegetables, most of them local and organically grown. For details, see below. Melynn Schuyler will be a guest speaker at Journey Santa Fe on January 21 to discuss successful approaches to re-connect “at-risk” young people to their communities. 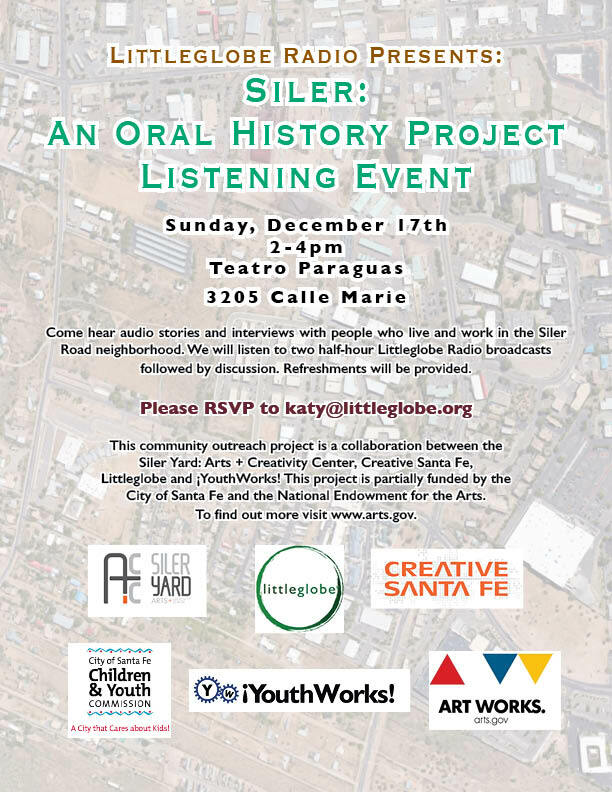 The session will be held at 11 am at Collected Works at 202 Galisteo Street and is free and open to the public. Come early and take advantage of the Collected Works Coffehouse or browse the bookstore, then settle in for a lively discussion about successful approaches to conquer the perils that face too many young people in our community today. 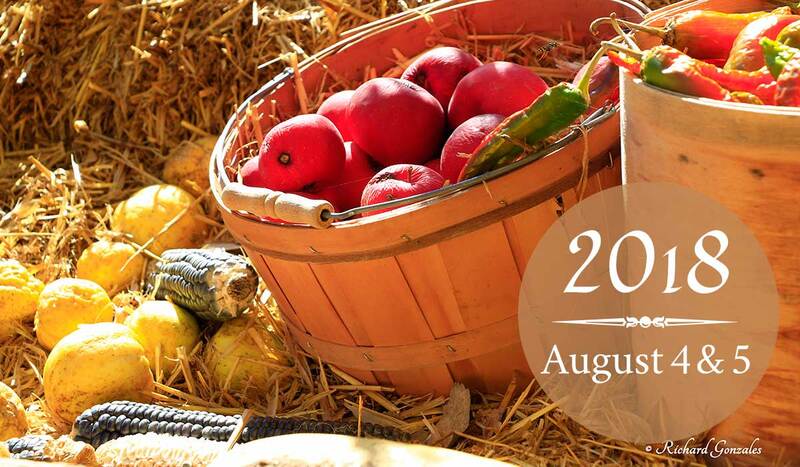 Journey Santa Fe is a weekly, philanthropic gathering of progressive minded individuals who explore local and regional issues that influence our daily lives and those of future generations in New Mexico. The weekly conversations are designed to help ignite change for the common good and provide solutions and community for all. 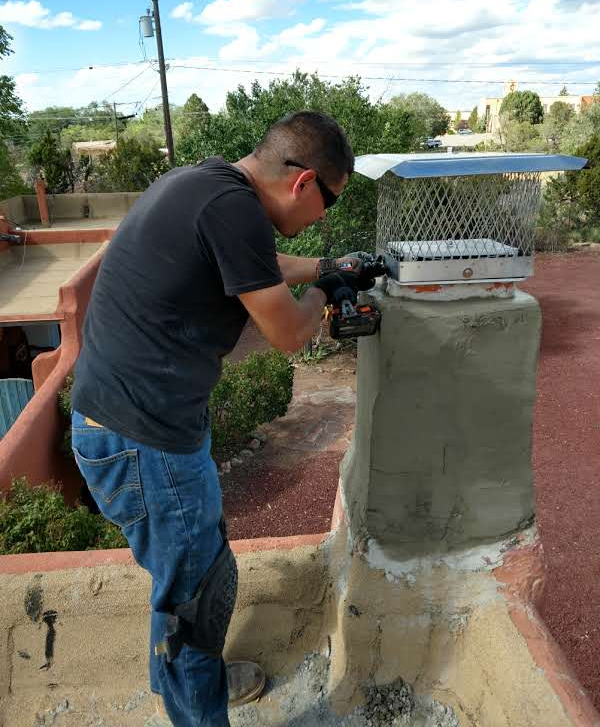 As part of the Verde Community Project, an effort with initial funding by the City of Santa Fe, young people from YouthWorks are learning how to weatherize homes. 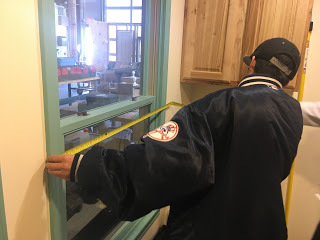 Training was held last week, December 6-8, at Santa Fe Community College and included a tour of the EnergySmart Academy Lab and Manufactured Home. Following completion of the training, these young people will be working in teams under the supervision of crew leaders from Proscape, a local landscaping and maintenance business that has volunteered its supervisory services as a way of contributing to the community. The crews will focus on weatherizing forty homes of local residents who cannot afford to take these energy-saving steps on their own. Trainees in the YouthWorks Culinary Program partnered with Chef Carmen Rodriguez, of MiSanta, to cater a special brunch today at the Palace of the Governors. Fifty New Mexico History Museum docents feasted on a special menu based totally on local New Mexico products. 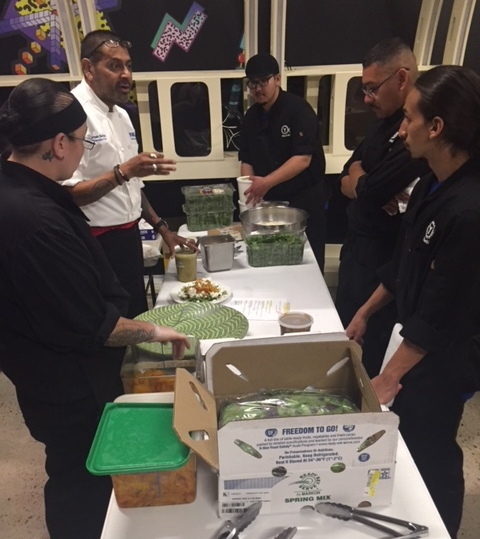 Chef Carmen is offering guidance to the YouthWorks culinary program, sharing his expertise in cooking preparation, catering logistics, and front-of-the-house skills. For more information about YouthWorks Catering and the services they offer, contact Penny Rodriguez. The work you do at YouthWorks is powerful. I’ve never before seen such a transformative program for young adults. Rabbi Neil Amswych, of Temple Beth Shalom, interviewed YouthWorks Executive Director Melynn Schuyler on KSFR at the end of November. To hear the discussion about the needs of “at-risk” young people in our community—for safe shelter, counseling, education, and job training—click below. On his half-hour program Soul Searching, Rabbi Neil engages with faith leaders, academics, and members of the community to hear differing perspectives on key questions that we all ask at differing times in our lives. The program airs on KSFR 101.1 the second and fourth Tuesday of each month at 6:30 pm. Plan to join us on on the afternoon of Sunday, December 17, to hear from local residents about the impact of the planned Siler Yard: Arts + Creativity Center. 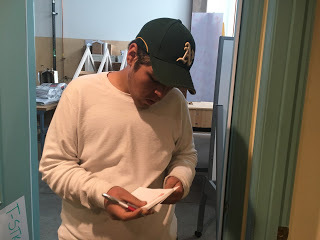 Apprentices from YouthWorks have been working with Littleglobe to document the stories of residents in the neighborhood who will be affected by the project. Their work is designed to ensure that local voices and perspectives are being heard and acknowledged. 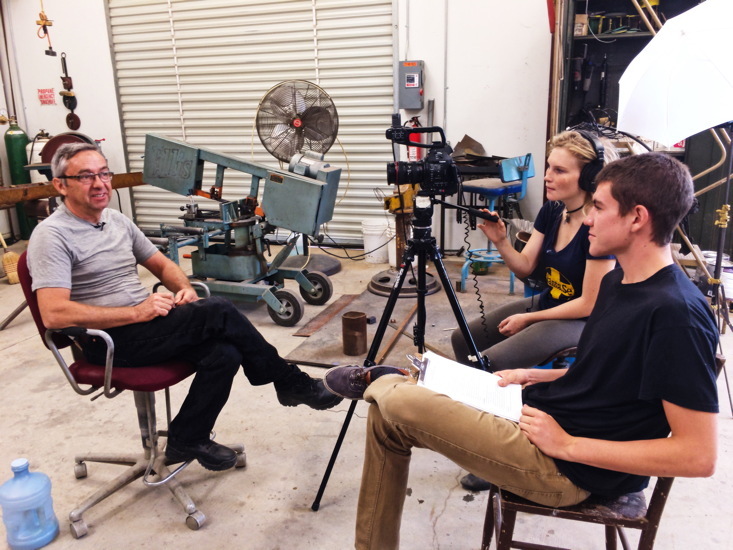 It also serves as training in interviewing, storytelling, and media production. During the session, the apprentices will be incorporating their own stories and perspectives about the media making process. 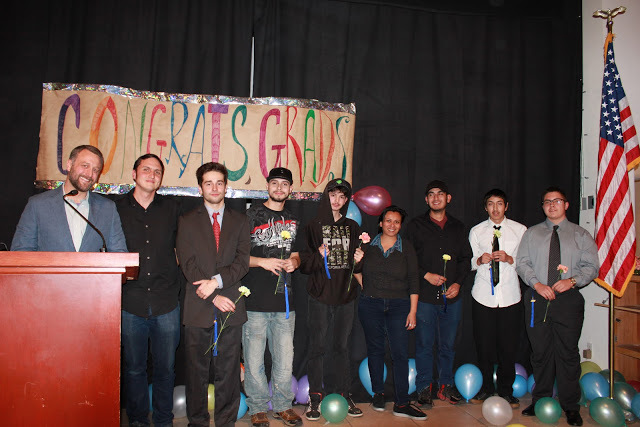 The YouthWorks class of 2017 celebrated their graduation on November 16, 2017, with a special dinner catered by Chef Carmen Rodriguez. 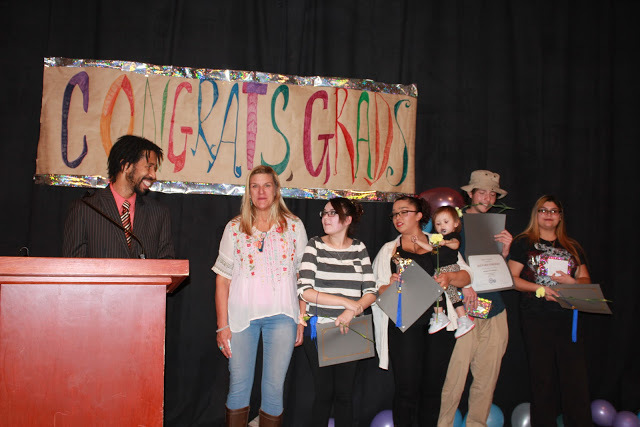 More than forty young people earned their GED and/or certification in programs including construction, conservation, aquatic restoration, food handling, personal care, and CPR/first aid. Others were recognized for their participation in the Youth Survey Project and the Verde Community Project. 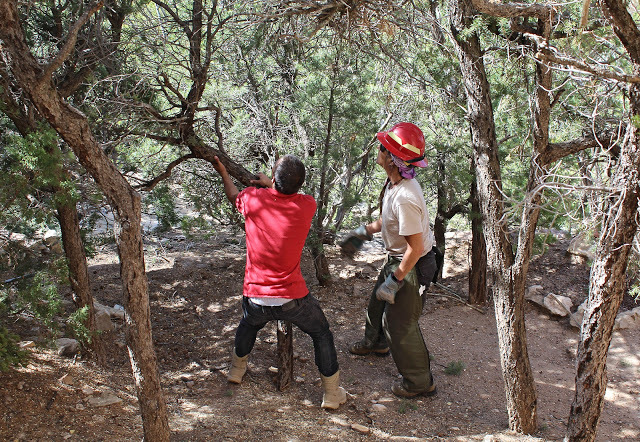 The YouthWorks wildfire crew was featured in the National Fire Protection Association blog for making an “incredible difference” in the wildfire safety of our community while at the same time learning basic forestry skills. 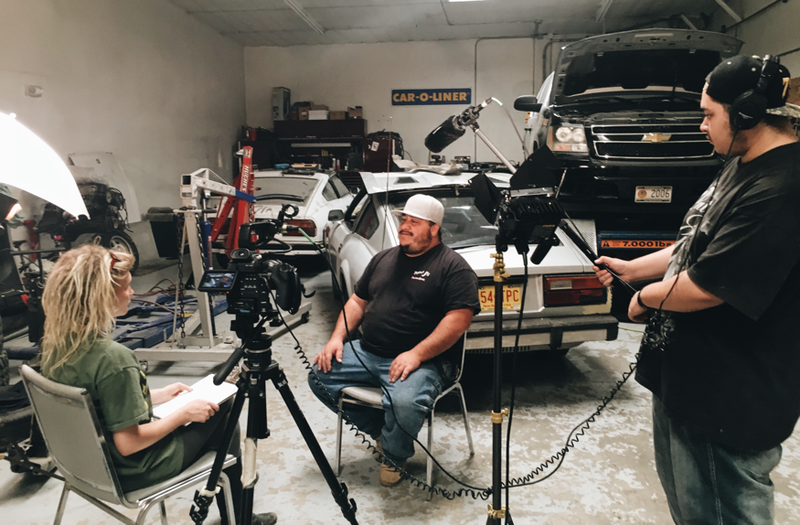 The YouthWorks crew working with Wildfire Network as part of the Verde Community Project received more publicity this week. The crew was featured in the United Way’s Center for Nonprofit Excellence blog. Click here to read more. The City of Santa Fe and the Mayor’s Sustainability Commission have just announced the winners of the 2017 Mayor’s Sustainability Awards. The YouthWorks Verde Community Project is being honored as the runner-up in the “Triple Bottom Line” category for creating a unique set of partnerships to address issues at the intersection of climate change and poverty alleviation. In today’s “My View” in the New Mexican, the Rev. H. Blaine Wimberly, pastor at Zia United Methodist Church, calls for support for homeless youth in Santa Fe. The weather has started to turn very cold. This year, we hope to protect these vulnerable young adults starting in December. While we continue to work with the city to find a more permanent solution, we need the residents of Santa Fe to once again pay attention to these suffering youngsters who are driven to desperate measures to survive during the cold months. The ShelterNow! project transforms lives. It takes vulnerable young adults discarded by society and helps them get their lives back together, find employment and more permanent accommodation. We all know that we have a duty to help these vulnerable kids, so please contact YouthWorks now and offer help. Click here to read the full commentary in the New Mexican. 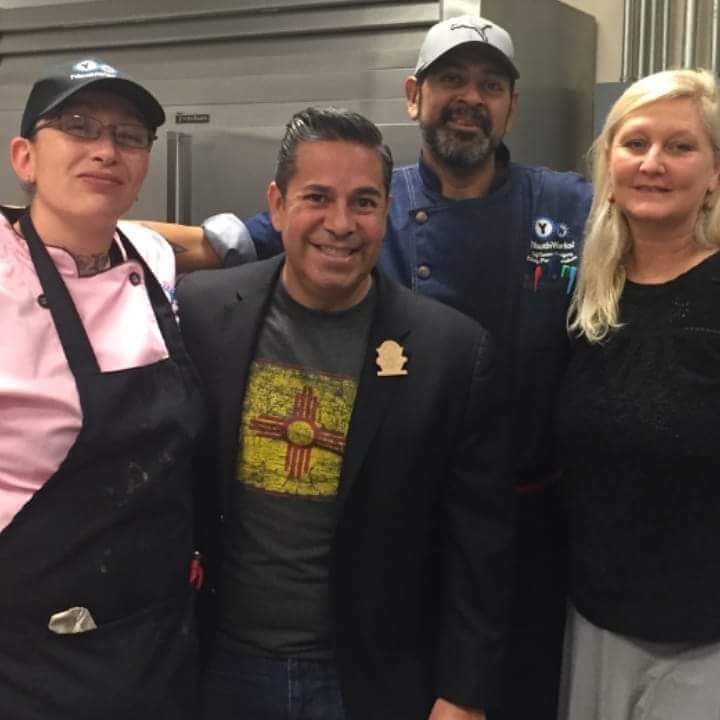 Mayor Gonzales and City Councilors Peter Ives, Sig Lindell, and Renee Villareal visited the Verde Community Project kitchen this week to meet the culinary team from YouthWorks. 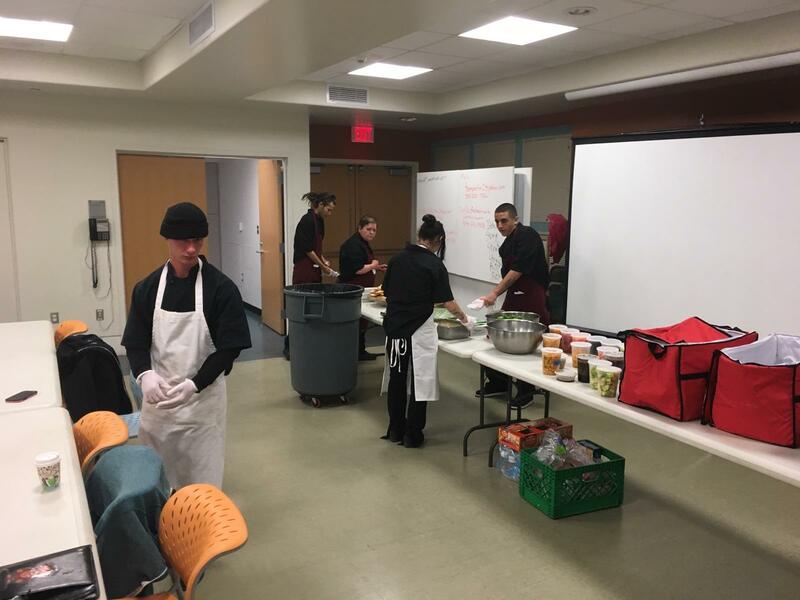 These young people, who are enrolled in culinary training at YouthWorks, are using their newly learned job skills to prepare healthy meals for low-income children at after-school programs in local elementary schools and Boys and Girls Clubs. 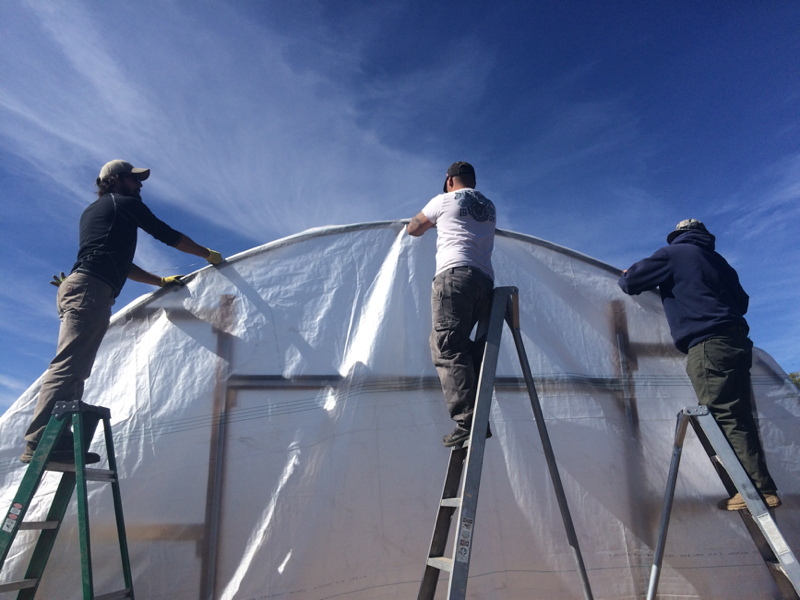 The Verde Wildfire crew members continue their work at the Santa Fe Institute’s Tesuque site. They’re clearing dead and downed wood to mitigate the possibility of wildfires, work that will eventually cover more than 100 acres around Santa Fe. Approximately 1600 tons of dead and down wood will be recycled as biomass, or firewood, or mulch or become healthy compost. 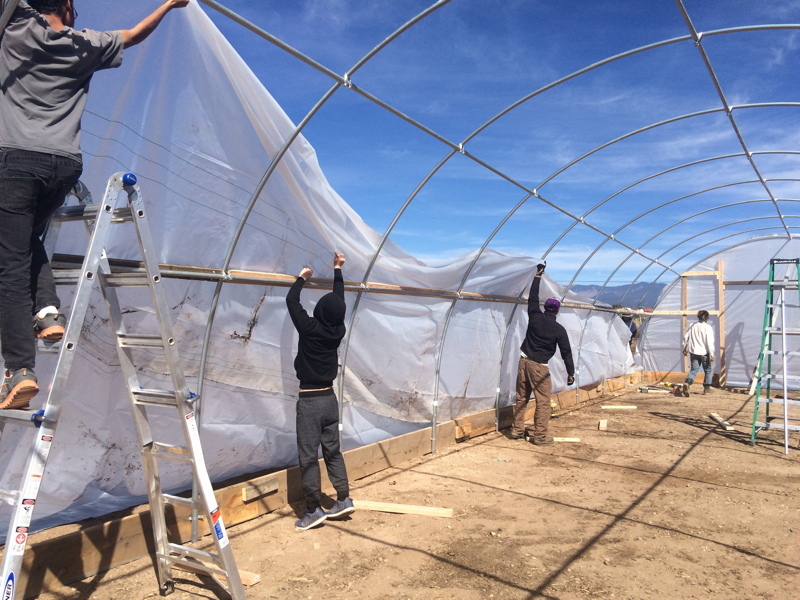 Crews from the Verde Community Project erect another greenhouse at Reunity Resources. 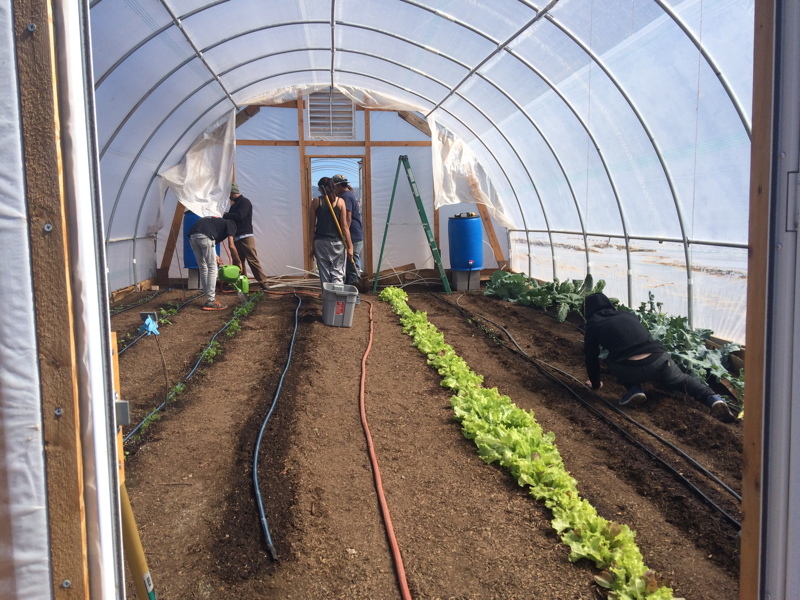 The fresh vegetables grown here will be used in meals delivered to after-school programs at local schools and social services organizations like the Boys and Girls Club. 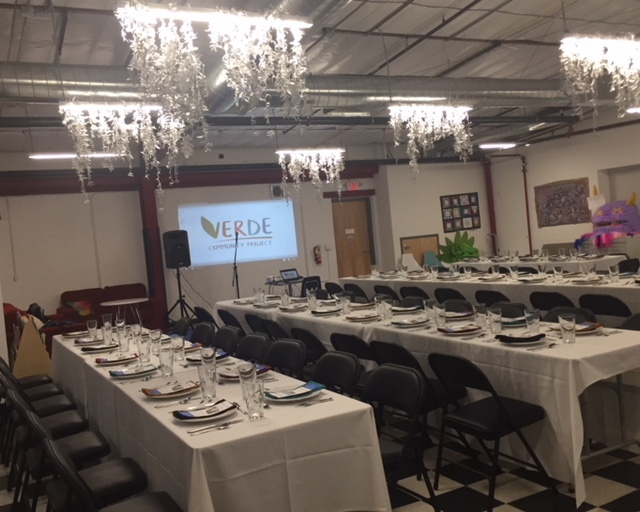 YouthWorks, in collaboration with the Food Depot, launched the Verde Community Project’s after-school meal program on Monday, October 16. This program, which is partially funded by the City of Santa Fe’s Verde Fund, will provide fresh, nutritious meals to elementary school children at risk of not having enough to eat. 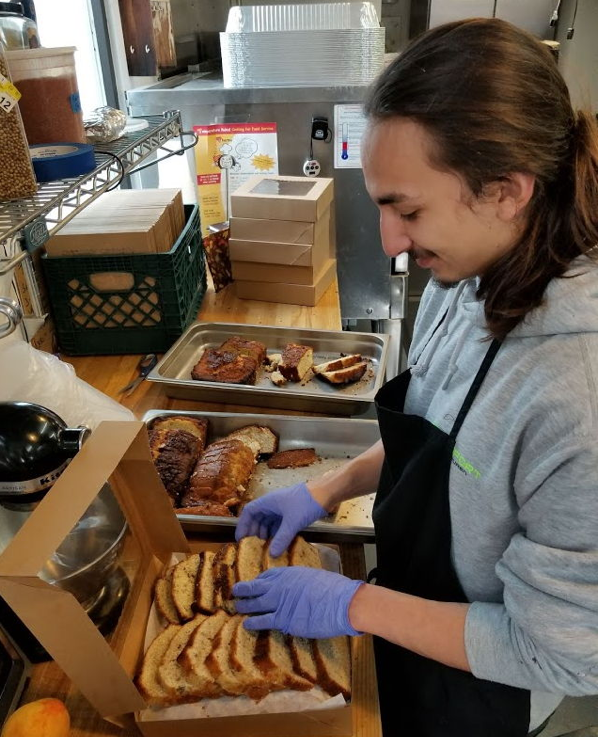 Young people enrolled in the YouthWorks culinary job-training program prepare the meals, which are then delivered each day to local elementary schools and Boys and Girls Clubs. YouthWorks culinary students work in the Verde kitchen, preparing nutritious meals for the after-school meal program. This effort, a collaboration between the Food Depot and YouthWorks, will feed children who might otherwise not have enough to eat after the end of the school day. 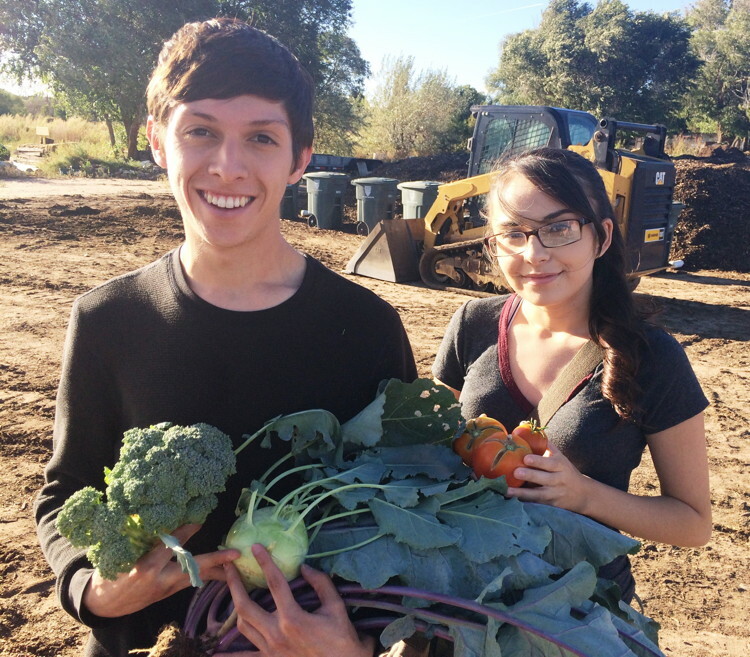 Ian and Denysse gather produce at the Reunity Resources greenhouse and compost yard to deliver to the Verde kitchen for the after-school meal program that serves children who might otherwise not have enough to eat after the end of the school day. 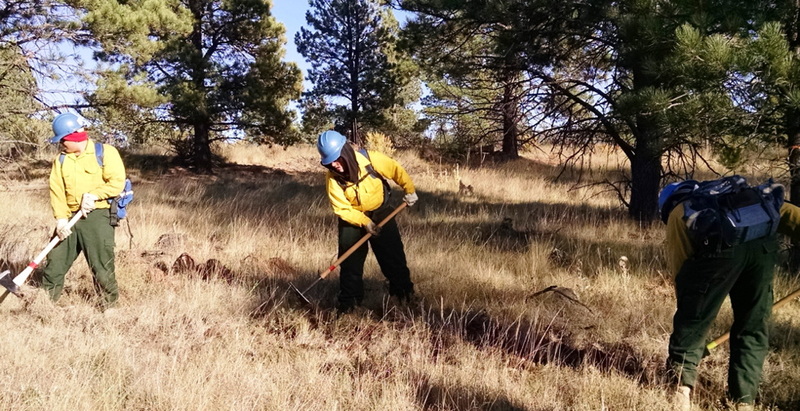 As part of the Verde Community Project, young people from YouthWorks train with experts from the Wildfire Network to learn ecological monitoring, erosion control techniques, and basic wildland firefighting. After beginning his YouthWorks apprenticeship as a chimney sweep earlier this month, Eddie Orozco got a rave review from his new boss. Marc Black, master chimney sweep at Arthur Black Chimney & Dryer Exhaust, was so impressed with Eddie’s great work that he stopped by YouthWorks to express his thanks for having Eddie on the job. Eddie is exactly the type of worker and individual I needed to help get our business going. He has the unteachable qualities of desire, diligence, and resilient attitude. On top of that he is highly intelligent, scrupulously polite, and friendly with customers. In seven years of sweeping chimneys for other companies, I have never had a helper of this caliber. If Eddie is the standard for YouthWorks, I will gladly tell anyone looking for workers that they should make the call. 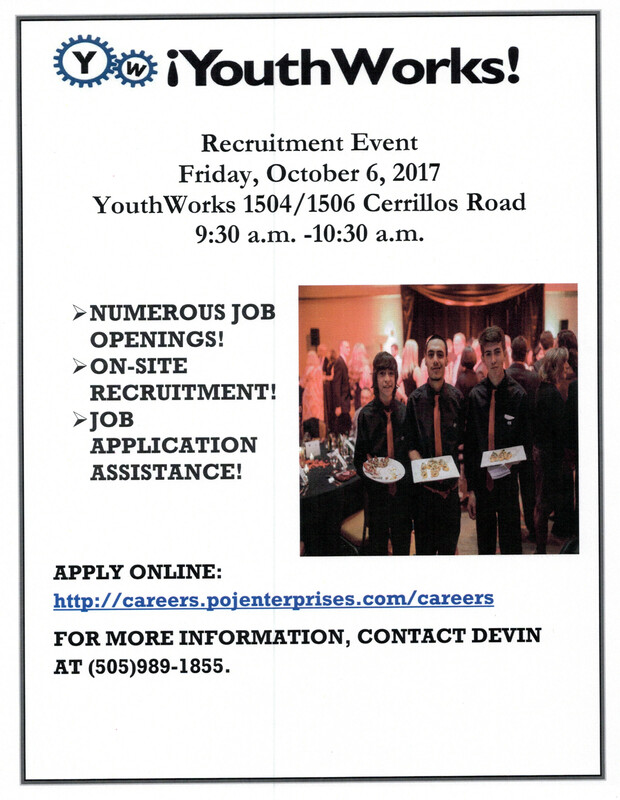 The Pueblo of Pojoaque will hold a recruiting event at YouthWorks on Friday, October 6, 2017. HR Recruitment Specialist Karla Lujan will be on-site to speak with students about current opportunities. Interested individuals should bring an up-to-date resume. Contact Devin Baldwin at (505) 989-1855 for more information. 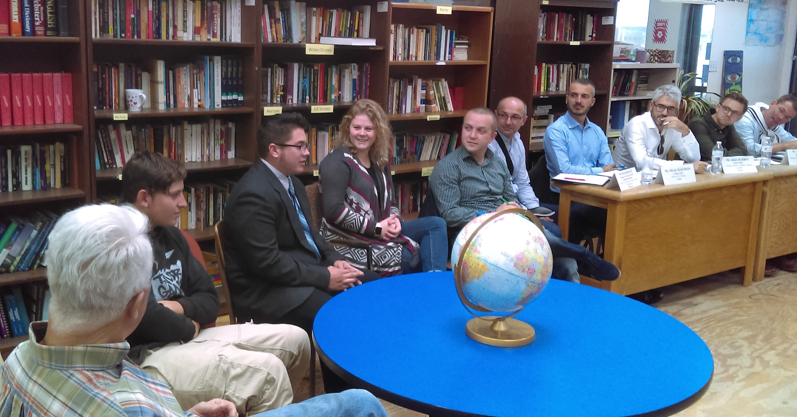 Students from YouthWorks engage in discussion on September 22, 2017, with young European leaders from nearly a dozen countries who are visiting the U.S. to better understand American social, political, and economic issues. The International Visitor Leadership program is sponsored by U.S. State Department and hosted by the Santa Fe Council on International Relations. 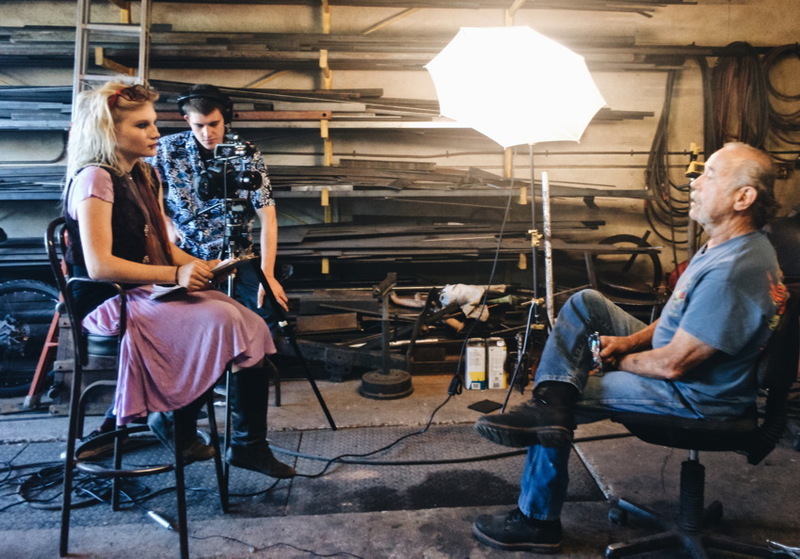 Four apprentices from YouthWorks are working with Littleglobe–a local nonprofit committed to interdisciplinary, collaborative art projects–to document stories from the neighborhood surrounding the developing Siler Yard: Arts + Creativity Center. 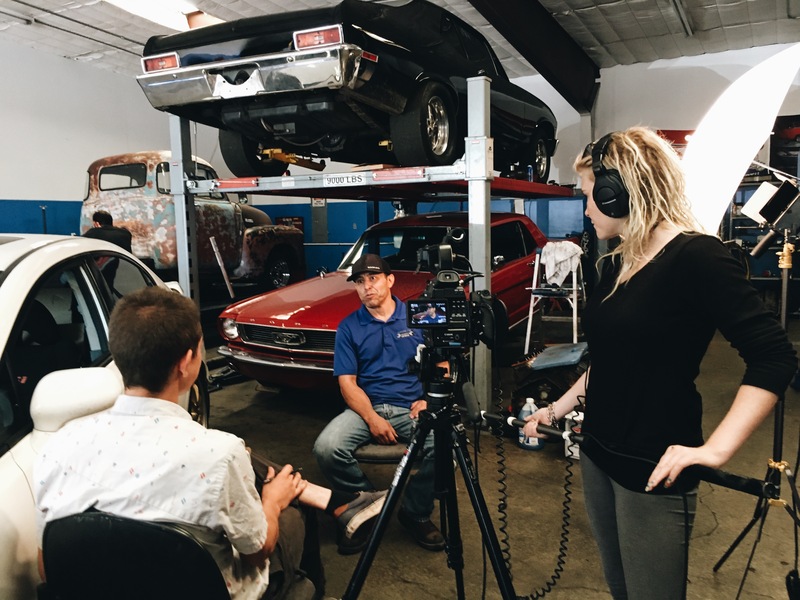 The apprentices are interviewing community members to tell their stories about how the project will affect them and to ensure that their voices and perspectives are being heard. By participating in this project, the young people are learning interviewing, storytelling, and media production. As the project progresses, they will be incorporating their own stories and perspectives in the media making process. These stories of the impact of the Siler Yard project will be shared at a community listening event and on radio broadcasts. Watch for details to come about when and where. The clothing drive underway at YouthWorks makes all the difference in getting ready to interview for a job. 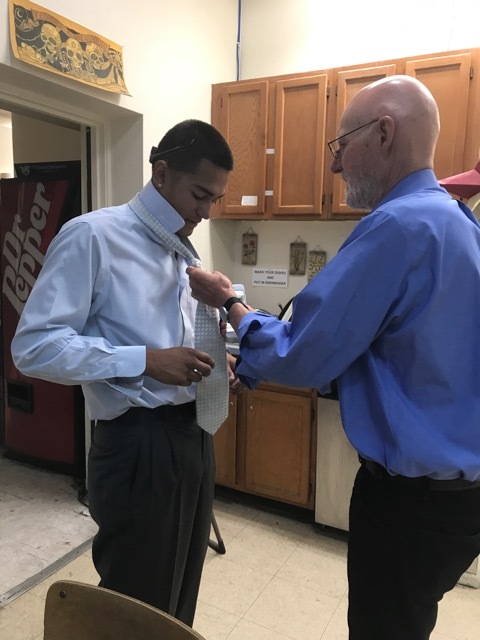 Board member Fred Seibel provides a bit of advice on tie tying, and YouthWorks student Juan is suited up and ready for action. 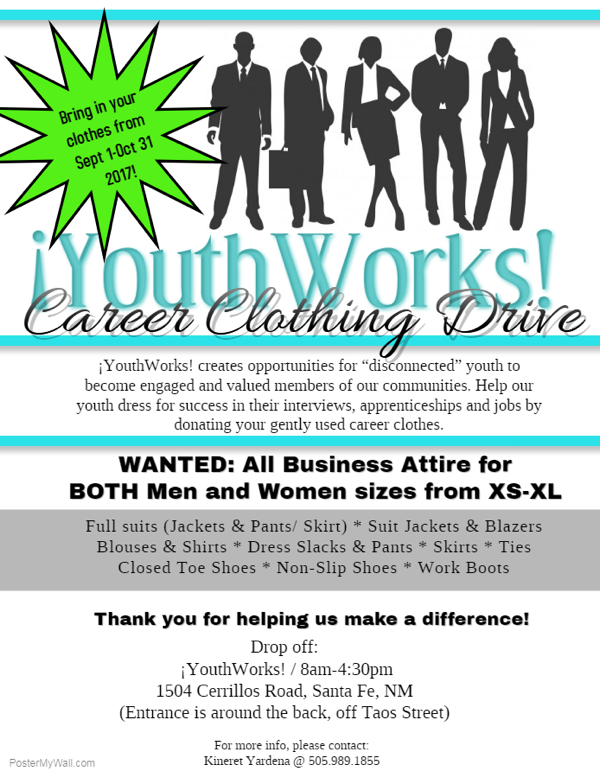 YouthWorks is collecting gently used “career” attire for both men and woman, sizes extra-small to extra-large, like the outfits below. 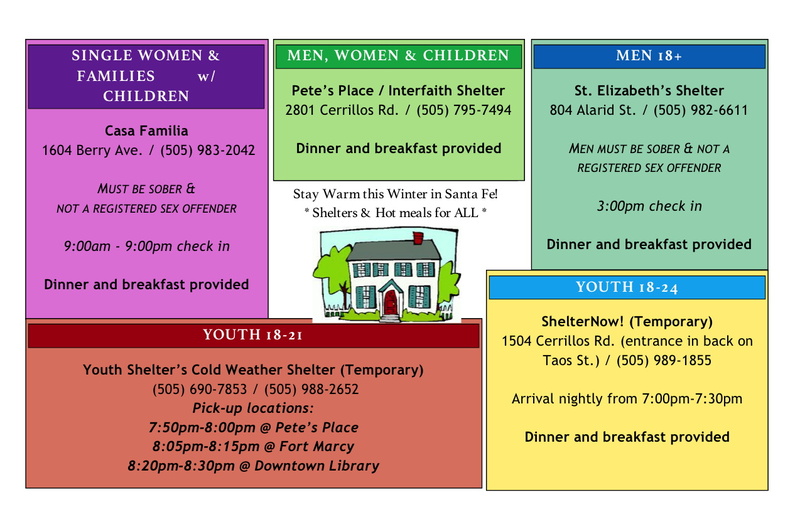 If you can provide any of the following, drop them off from 8 am to 4:30 pm at 1504 Cerrillos Road in Santa Fe. The entrance is around the back, off Taos Street. For more information, contact Kineret Yardena at (505) 989-1855.